Past newsletters can be found here. The most recent past newsletter will be on top. if you would like to subscribe to receive our quarterly e-newsletter and periodic updates, please click here. Spring is in full swing and we are enjoying the budding trees, the longer days, the warmth of the sun, and the return of all things vibrant – flowers, local food, friends, and rivers and streams surging with water. Fitting with the season, we have some new beginnings to announce. You already heard about our new logo, but did you also know that we have a new office? Our friends at Adirondack Architectural Heritage (AARCH) have generously offered us a nice office in their historic stone building in downtown Keeseville. This will be the first time that AdkAction has a professional office space. Many thanks to AARCH staff, especially Steven Englehart and Virginia Siskavich, as well as the AARCH board of directors for this generous gesture of support. In addition to a new logo and a new office, two talented individuals are joining us for the summer. Katherine Glenn is our new Adirondack Pollinator Project Intern. She is an Environmental Studies and Sustainability faculty member at Paul Smith’s College and entirely over-qualified to be an intern—lucky us! Our second new addition is Colleen Donlan, a recent graduate from Colgate University who will be joining us as a Colgate Fellow to work on our Farmacy Project. 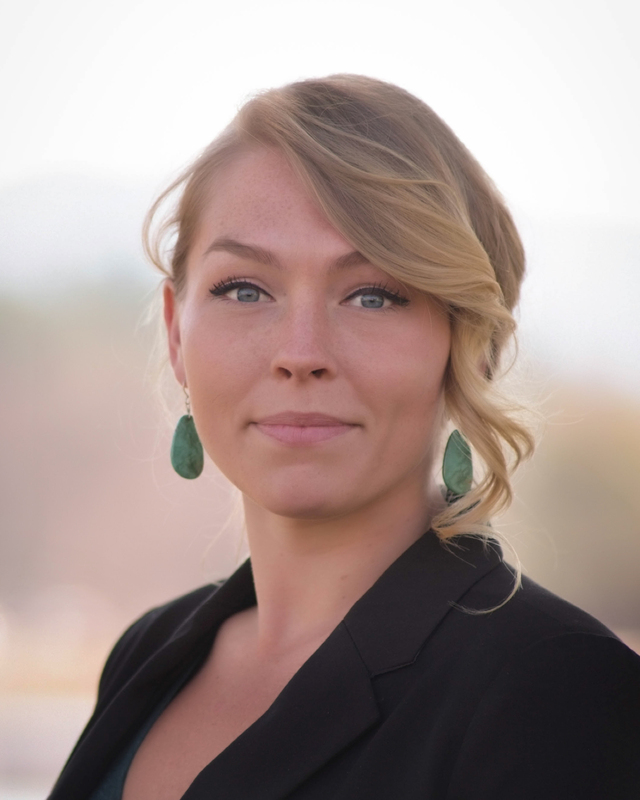 Colleen has experience working on food justice and food advocacy programs in Washington D.C., Tanzania, India, and Italy, and is interested in building equitable food systems. Please join us in welcoming Katherine and Colleen! We are poised to have a very productive and impactful year, and it is all because of the support of our members! If you haven’t already renewed your membership for the 2018 season, please do so today. If you aren’t sure whether or not your membership is current, shoot me a quick email at Brittany@adkaction.org and I will let you know. 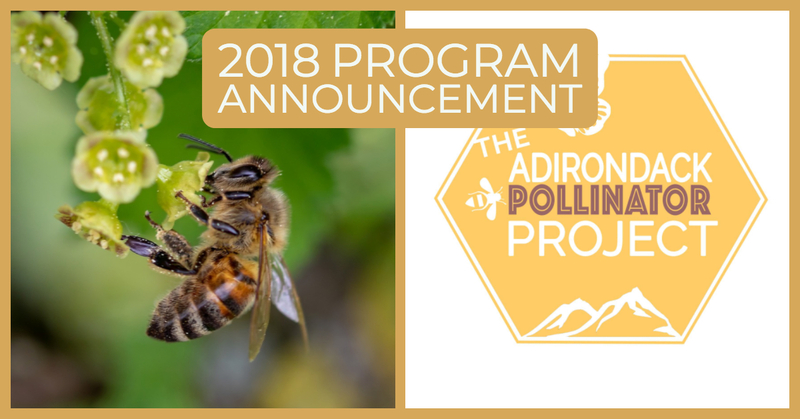 The Adirondack Pollinator Project, established in 2017 with a goal of building understanding about the importance of pollinators and inspiring individual and collective action to help pollinators thrive, has developed an exciting new program for 2018. In collaboration with our project partners—The Wild Center and The Lake Placid Land Conservancy—the new program features a Plant Sale fundraiser, distinguished guest lecturers, screenings of a wonderful short film, a gift basket raffle, and an end of the summer Benefit Dinner. We will also continue to distribute APP project brochures and complimentary local wildflower packets at local farmer’s markets and other events. Our AdkAction Broadband Project Lead and former chairman, Dave Wolff, mediated a Broadband Symposium in the Town of Johnsburg on Monday, February 26. Representatives from Slic, the Broadband Program Office (BPO), Frontier, and Microsoft participated. After the Symposium, The Sun Community News came out with the headline, “Johnsburg receives clarity on broadband projects.” Over 70 people were in attendance, including Assemblyman Dan Stec and dozens of Johnsburg residents. The Sun went on to recommend that the symposium be emulated statewide. Great news! We've received a grant from the Adirondack Foundation for $3270 for the Farmacy to do outreach and launch a series of cooking classes this summer. The cooking classes will be aimed at increasing the capacity of residents that receive SNAP and WIC benefits to be able to cook from scratch using ingredients from the Farmacy. Special Preview Party: June 23, 2018, 6 PM-9 PM. This event will offer the public a first look and the opportunity to buy the paintings created during the festival. Wine and local cheeses will be available for this very fun event. $10. Show and Sale – June 24, 10 AM-3 PM. Show and Sale continues. Artists can come to the gallery to speak with patrons or spend the day painting whatever they choose and enjoying the community. 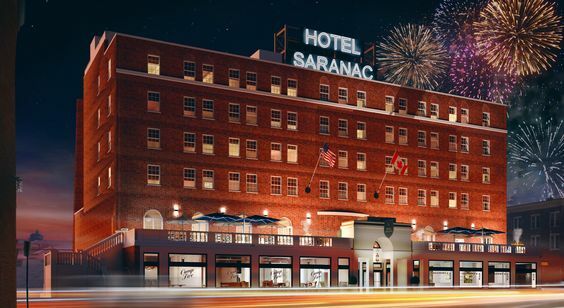 Join us at our annual membership meeting on Thursday, August 9, 5:30-8:00 PM, at the historic Hotel Saranac. Tom Boothe, Chair of AdkAction, will share with members our annual report on our activities in 2017 and major project plans for 2018. We will be offering our members wonderful local food and beverages, and a chance to enjoy the music of local musicians, and exciting and new silent auction items. Welcome our new board members! ...and remember to attend our Annual Meeting to meet them and officially vote them onto the board. Anne Schoff. 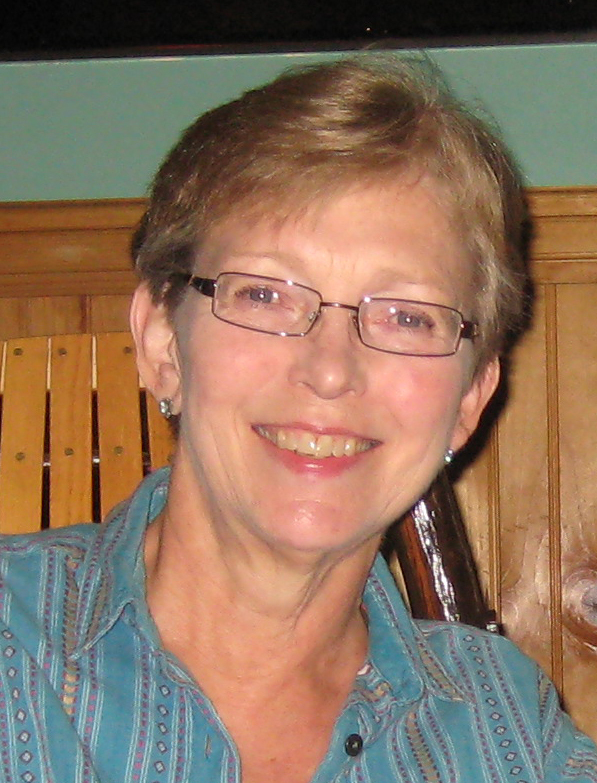 Anne grew up in Schenectady, vacationing with her family on Sacandaga Reservoir. She and her husband Jim purchased their summer home on Upper Saranac in 1987. Her educational background, BS in Radio-Television (Ithaca College) and MEd (John Carroll University,) has led her professional career to span both public relations and teaching (grades 1-8) in Cleveland, Ohio. Her board experience in Cleveland includes The Near West Theatre and City Year Cleveland. 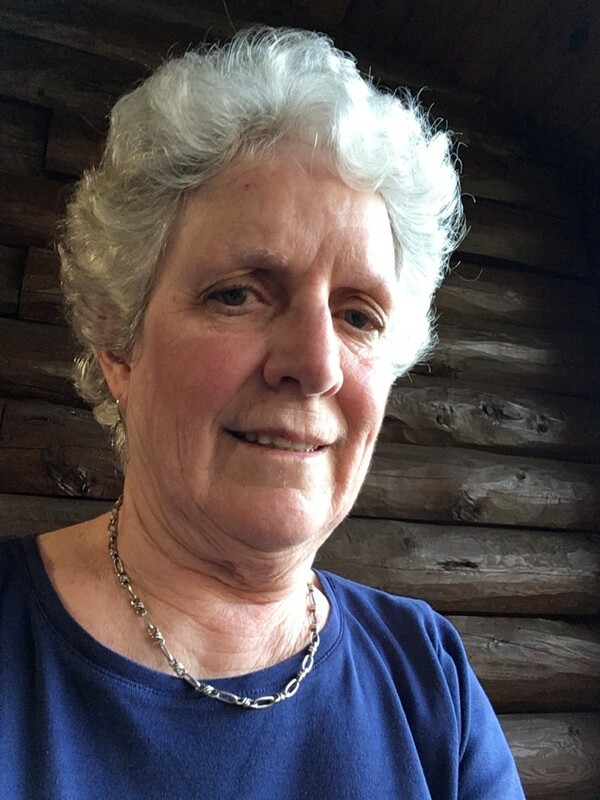 In the Adirondacks she has served on the Pendragon Theater board and is active with the Birth To Three Alliance through the Adirondack Foundation. Anne and Jim count their ten grandchildren as their greatest contribution to the future of the Adirondack Region. Ruth Smith. Originally from the Boston area, Ruth came to the Adirondacks with her husband, Craig, to relax at the Smith’s summer camp on Upper Saranac Lake after they completed graduate degrees in 1974. Since they both enjoyed the many outdoor experiences this region offers, it wasn’t long before they decided that Saranac Lake was the place to call home. Ruth is a graduate of the University of New Hampshire, with a B.A. in Biology, and earned a M.S. in Microbiology from the Harvard School of Public Health. 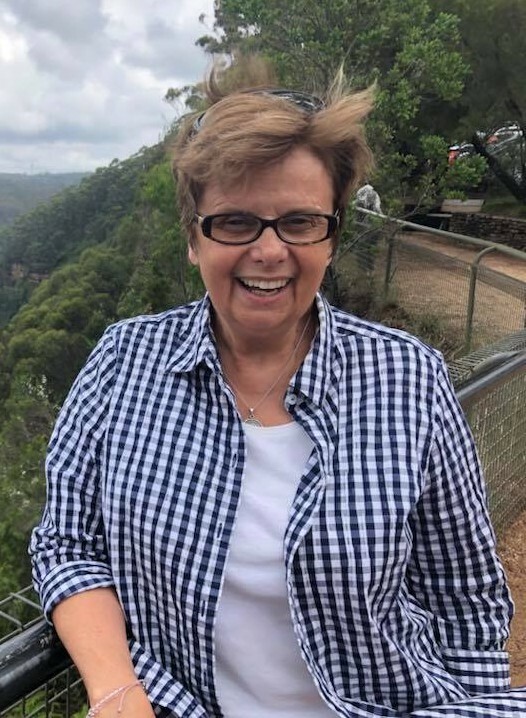 After initially working in biomedical research, Ruth taught environmental microbiology and other science courses at Paul Smith’s College from 1977-2011. Ruth’s community activities include past membership and Board positions in the Saranac Lake Women’s College Scholarship Club, and BluSeed Studios. Inc. She is currently a Board member of the Upper Saranac Lake Association, and had previously served on its Environmental Committee. At the Trudeau Institute, Ruth serves on the institutional committee overseeing animal use and care. W. Buck Bobbin. A native of the Hudson Valley, Buck Bobbin was first connected with the Adirondacks while attending Curtis S. Reed Boy Scout camp near Brant Lake. 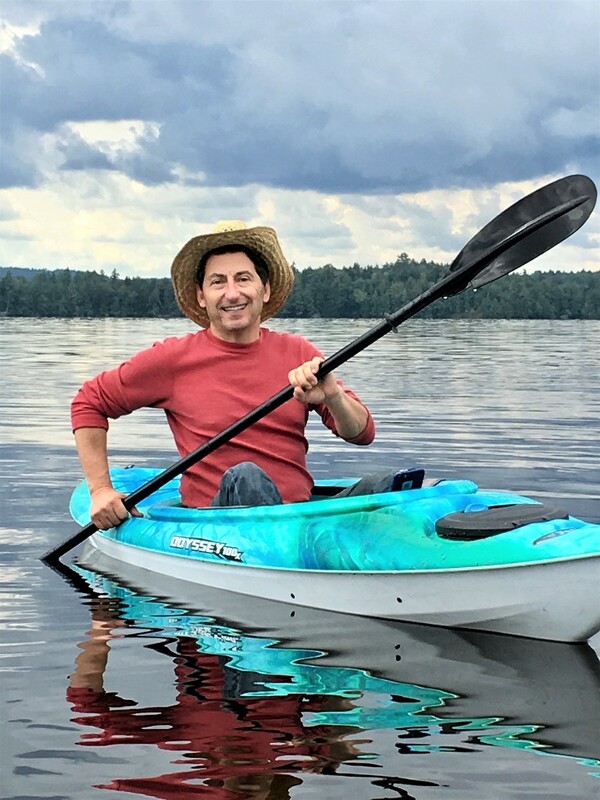 He has canoed much of the Raquette River, finished Boy Scouting as an Eagle Scout and went on to graduate from George Washington University with a degree in International Affairs. Buck worked as a ski instructor in California and New York, and then in electoral politics in Virginia, Illinois, and most recently in the North Country and Adirondack Park of New York. He is currently a Mortgage Lender with Champlain National Bank, and remains active in environmental conservation, responsible and deliberate economic development, and local Democratic politics. He lives on the Saranac River in Cadyville, NY. Seth McGowen. Seth was born in the Bronx, NY, and resides in Tupper Lake with his wife, Susan. He and his wife raised their three grown children, Laura, Scott, and Sarah in Tupper Lake. He started his career in 1987 in education as an instrumental music teacher in Indian Lake. 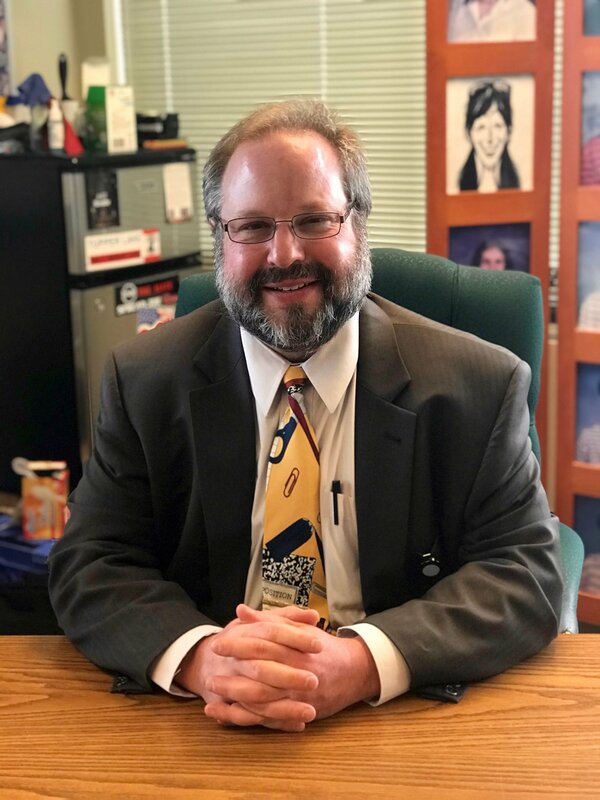 He took the same position with the Tupper Lake Central School District in 1990 where he later became the computer technology coordinator for the District, elementary school principal, high school principal, and has been the Superintendent of Schools since 2007. 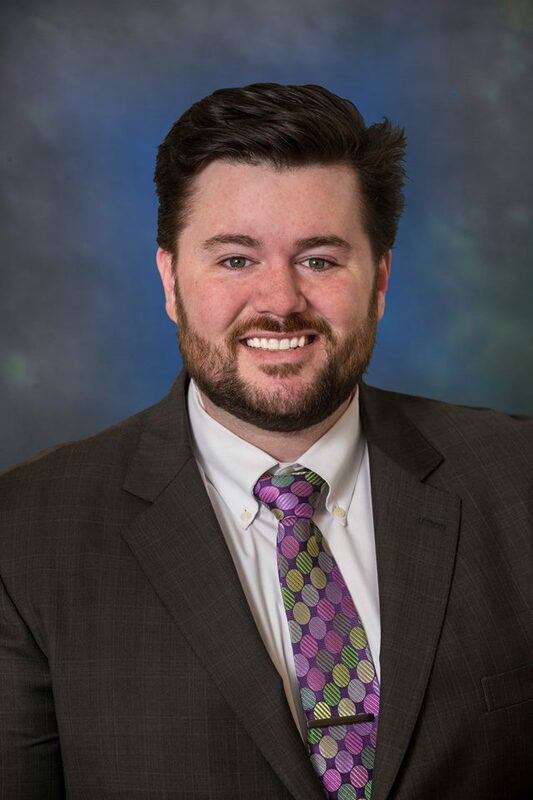 In addition to his membership in Rotary and Kiwanis, Seth is the vice-president of the Adirondack Public Observatory and Chairperson of the Education Committee. Julie Garcia. Julie was born in Ticonderoga, New York. Growing up in the North Country, she loved sports and ran track and played soccer for Moriah Central School. Julie has a long history of involvement in various state and local bar associations and in many other professional and civic organizations. She served as Essex County District Attorney for four years. There she engaged public and private partners to minimize crime and maximize public safety. Earlier, she worked as an Assistant District Attorney in Suffolk and Rensselaer Counties, and ran her own law office in Warren County. She currently serves as a sole practitioner, maintaining a law office in Port Henry and Warrensburg. She resides in Moriah, New York. With January coming to an end we are working diligently to plan the events and efforts that will shape the coming year for AdkAction. If you are like many of us in the Adirondacks, you may have a little more time to relax during these cold winter months. If that’s the case, please grab a cup of coffee or tea and take a moment to read about the many good projects that we are developing in the Park. If you’re more the type to escape to warmer weather, please, enjoy the warmth for the rest of us! In the articles that follow you will learn about our regional advocacy efforts to reduce road salt and get an update on the groundwater study that we are sponsoring through Adirondack Watershed Institute. You’ll get the latest news on Year 2 of the Adirondack Pollinator Project, and get the chance to start daydreaming about how you will fill your garden come Spring. 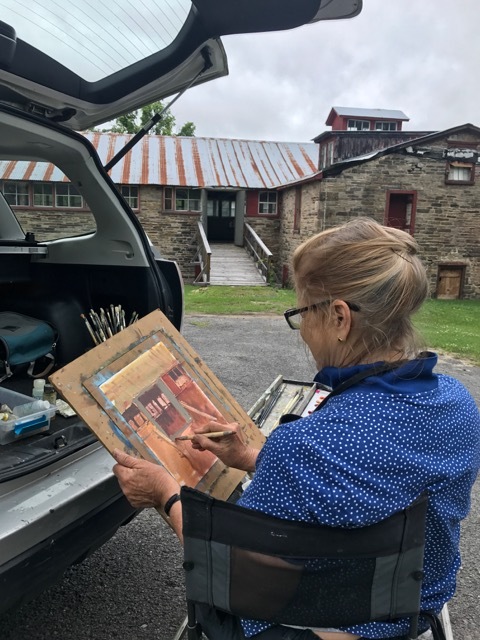 You will also get information and dates for our second annual Keeseville Plein Air Arts Festival, an update on Phase 3 funding for broadband access, a profile on our newest AdkAction Board member, and the date for our 2018 Annual Meeting and Party. We are thrilled to share all of this great news and progress with you all. If you have recently become a member or already renewed your membership for 2018, thank you for your continued support. We recently reached a very meaningful milestone - we exceeded 300 AdkAction members for the first time ever. We had 90 new members join in 2017, demonstrating the impact of our work and increased visibility in our communities. Our larger membership base will help us have the flexibility to take on projects that are fun, fresh, and much needed in our communities. If you haven’t yet renewed, please do so today, and thank you again for helping us take meaningful action for the Adirondacks. 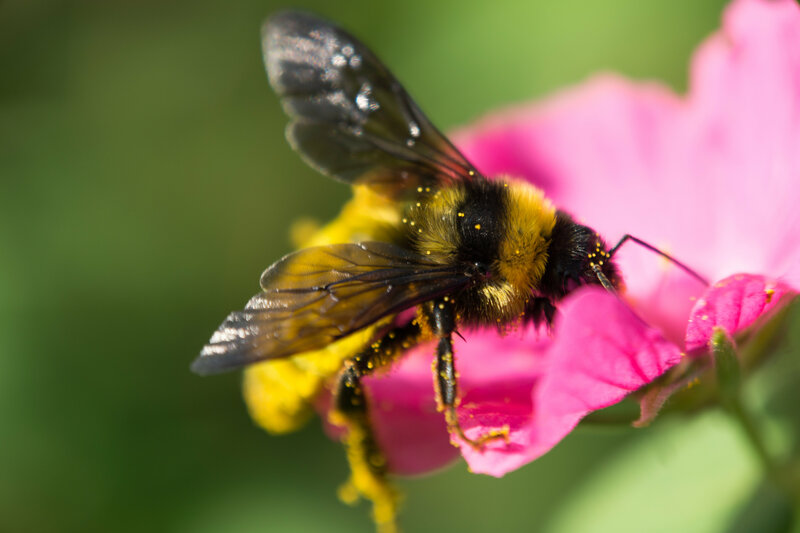 There are many threats to pollinators, including habitat loss and fragmentation, pesticide use, climate change, pests and pathogens, and nutrient deficiencies. The Adirondack Pollinator Project focuses on educating the public about these threats, increasing pollinator habitat, and reducing pesticide use. With appropriate conservation efforts, it may be possible to stabilize or improve struggling pollinator populations. Increasing access to diverse pollen and nectar sources is one of the best practices when it comes to pollinator conservation. In fact, nearly every organization, group, or company with an interest in protecting pollinators suggests planting pollinator gardens to help enhance or protect pollinator populations. In 2016, after the release of the New York State Pollinator Protection Plan, AdkAction expanded its monarch butterfly programming to include all pollinators and the “Adirondack Pollinator Project” was born. 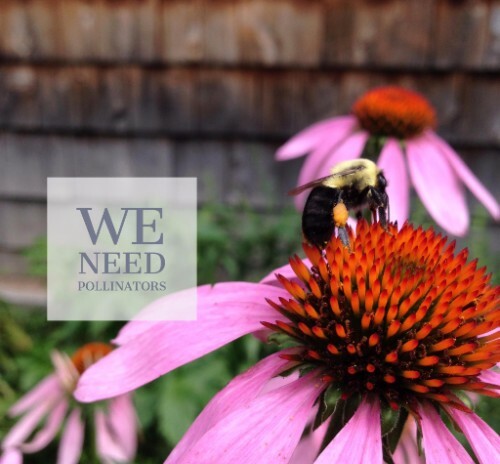 With the help of our partners--The Wild Center, Lake Placid Land Conservancy, and Common Ground Gardens--we promote the health of pollinators, critical to food and ecosystems, by empowering people to take individual and collective action to help pollinators thrive. In 2018, we are focusing on hands-on conservation by encouraging community volunteers and homeowners to invest in pollinator plantings. We will make planting for pollinators easy by giving out 15,000 free Adirondack wildflower seed packets. 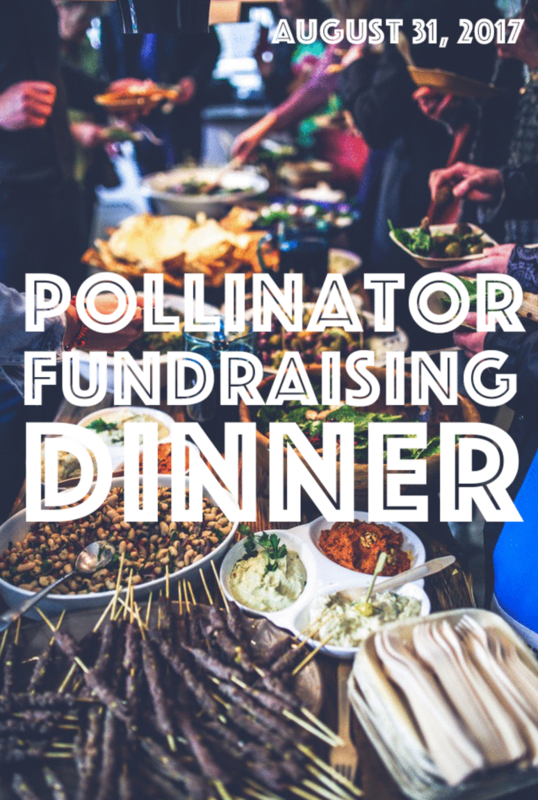 We are also offering a free guest lecture, “Pollinator Victory Gardens,” by Kim Eierman, an environmental horticulturist and founder of EcoBeneficial, at The Wild Center on Wednesday, June 13th with a reception at 6 pm and lecture at 7 pm. We are also working with Cook and Gardener nursery in Plattsburgh, NY, to make available twelve varieties of beautiful native plants that are free of neonicotinoids (a class of common insecticides that are very dangerous to pollinators). We will have an online plant sale from February through April to allow local residents to plan their pollinator gardens and pre-order a variety of pollinator plants designed to provide a diversity of nectar and pollen sources for local bees, butterflies, moths, and hummingbirds. The plants will be available for pick up in June from two locations, Plattsburgh and Tupper Lake. Stay tuned for the official beginning of the plant sale. 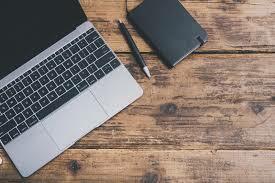 Governor Cuomo announced on Wednesday that the North Country Region has been awarded over $100 million in the latest round of New NY Broadband grants. At the live announcement in Plattsburgh, Cuomo said, "You get the most money from any of the other regions. Doesn't mean I necessarily love you more," Cuomo said. "It is because the North Country was harder to cover, and that's why the state had to invest more to get that (broadband) coverage." AdkAction continues to play a major and central role in this collaborative broadband effort among various organizations and agencies. We are proud to have worked with local governments and broadband providers to ensure the submission of robust grant applications for all 3 Phases of the New NY Broadband Program. For the full announcement and funding details, click here. Road salt is one of the biggest threats to Adirondack waters. Chloride contamination in our lakes, rivers, and streams is well documented and alarming. What about the impact of road salt on wells and ground water? Are our aquifers and therefore our private wells becoming contaminated? 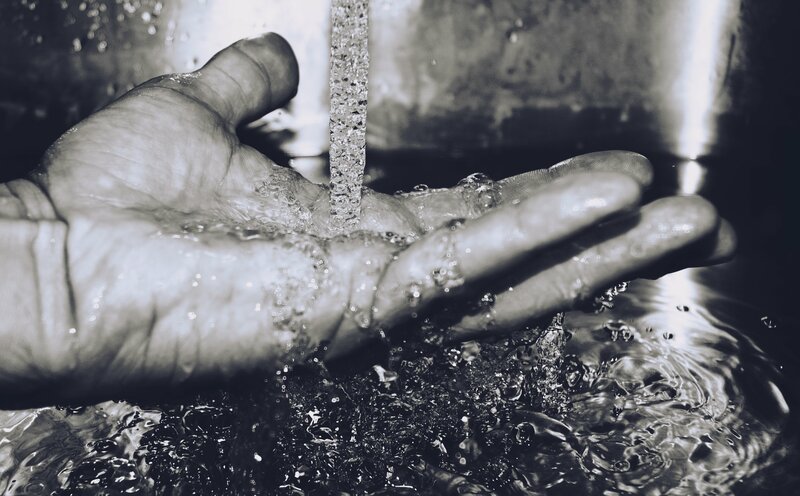 To begin to answer these two questions, AdkAction members sponsored a study with Adirondack Watershed Institute (AWI) at Paul Smith’s College to test 400 private wells in the Park for sodium and chloride contamination. After a long period of public engagement, AWI finally has the 400 volunteers it needs to fulfill the study design. Individual participants will be emailed the results of their individual well tests during the month of February. Many thanks to all of our members and friends who supported this important project, and/or volunteered for the well study. We know that some of you sent in your water samples in the summer of 2017 and we appreciate your patience. If your results come back with evidence of road salt contamination as evidenced by proximity to road runoff and elevated levels of sodium and chloride, we will also provide information on how you can begin the process of eccmake a claim to the NYS Department of Transportation based on the county in which you live. Although it is becoming common knowledge that road salt is having detrimental effects on Adirondack waters, it is important to have tangible scientific evidence and consistent measurements to continually make the case that something must be done to reduce road salt. We hope that by showing NYS DEC and NYS DOT the extent and magnitude of groundwater contamination, we will help galvanize state-level support for road salt reduction in the Adirondacks. An issue as big as reducing road salt requires a full-court press with a diverse coalition of stakeholders. AdkAction administers a regional Road Salt Working Group that brings environmental groups, local government leaders, advocacy groups, institutions, and state agencies together to work towards the common goal of reducing road salt. 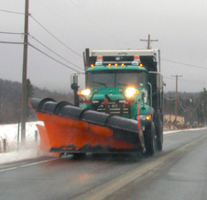 With the input of the Working Group, AdkAction is developing a “Road Map to Reduce Road Salt” which will include relevant local research summaries and best management practices for responsible winter road maintenance. The research included will be presented in an easy-to-grasp way and explain the environmental, economic, and public health impacts of road salt pollution. We will include the best management practices in the form of a checklist arranged from the cheapest and easiest methods to implement, to most expensive and difficult to implement. We will aim to have each DOT plow/salt truck operator to keep the Road Map in his/her vehicle. We are planning an awards ceremony to celebrate the winter road maintenance departments that commit to working towards a solution to the road salt problem, and we will announce the ceremony in Spring 2018. Registration is now open for our second annual Keeseville Plein Air Art Festival, June 20-24, 2018. Last year’s inaugural festival was a big success for both the artists and the lucky buyers at the Saturday evening preview party and show. The area’s natural beauty and historic architecture were showcased in the 60 paintings on the walls of the 1719 Block Gallery, the center for the festival on Front Street. The nearby farms, Ausable Chasm and lakes, the river, and bridges, and the historic architecture of the village itself served as wonderful backdrops for the canvases of the 21 participating artists. This year’s festival will be limited to 35 artists to keep an intimate feeling, and we are now signing up area residents to host the artists. Also this year there will be a bonus for painting old buildings, historic, dilapidated, and everything in between, as long as the building can be said to have seen better days – a worthy subject in a town that is coming back to life. June 23, 2018 from 6 - 9 pm: Special Wine and Cheese Preview Party at 1719 Block Gallery in Downtown Keeseville. The village of Saranac Lake embodies the paddling and boating culture in the Adirondack Park. During the boating season, it seems as if every other car in town has a boat of some type strapped to its roof. However, the Saranac River, the main waterway coursing through downtown Saranac Lake, is sometimes overlooked as a paddling/recreational resource. This project endeavors to create a whitewater paddling area on the Saranac River downstream of the Lake Flower Dam and under the George H. Lapan Bridge. In the mid-1990’s locals rallied together to create the Hydro Point Park Project, creating both the River Walk and the Whitewater Kayak/Canoe Practice Area. As part of this project, a series of whitewater slalom gates and man-made whitewater obstacles were installed along this stretch of river. Though this park received a lot of use in the mid to late 1990’s, the park was later abandoned when it increased the river height and thus decreased the head at the dam, resulting in a loss of power production. An attempt to rebuild the park in the mid-to-late-2000s was met with several challenges, and much of the progress made during this time was destroyed by flooding in 2011. The development of the project is being led by Scott McKim and Tyler Merriam. To create this park, channel shape and geometry would be modified to create one or two surf wave(s)/hole(s). In this sense, it is important to note that this “park” will consist of one or two whitewater features. During the creation of the whitewater park, the lack of a healthy riparian buffer along this stretch of the river corridor could also be addressed, acting to improve the overall health of the watershed. There also exists a natural extension to this project of partnering with the River Walk to continue to enhance the river corridor through downtown Saranac Lake. The feasibility study, permitting, and construction would be completed by a professional whitewater park designer with experience creating similar parks in communities across the country. Any river modifications performed under the scope of this project will have the prior approval of all applicable local and environmental agencies, including, but not limited to, The Village of Saranac Lake, Department of Environmental Conservation, Adirondack Park Agency, Department of Transportation, and Federal Energy Regulatory Commission. Financial backing for this project will arise from private donors, grants, fundraising events, and other applicable sources. Benefits from this project include increased recreational opportunities for paddlers and community members, new and improved educational outlets for local organizations, and enhanced economic impact for the greater Saranac Lake Region, among others. To date, over 50 letters of support have been submitted for this project. If you would also like to show your support, please personalize and sign this letter and email it to scott@adkaction.org. Chris Cohan has enjoyed The Adirondacks all his life. He and his wife, Rita, split their time between Upper Saranac Lake and Rye, New York. He has degrees in Horticulture, Landscape Architecture and a Masters in Planning. As a licensed Landscape Architect, Chris has designed both private estates and public parks in New York City, Westchester County, and has also managed the Parks & Recreation Department in Stamford, CT. He writes a regular garden column as well and contributes to various magazines. He is a 90-Miler and hopes to someday be a 46er. Chris is now serving on the Adirondack Pollinator Project Committee. Salt Summit, Benefit dinner buzz, and a changing of the guard. The end of summer normally brings cooler weather and a slower pace, but not this year! With temperatures up in the high 80's, bright blue skies, and events nearly every day, it hardly feels as though the season has changed. Nevertheless, it is time for our Fall Newsletter, and we are excited for the opportunity to announce upcoming events and highlight some of the accomplishments of the summer season. Please enjoy getting up to speed with the latest news from AdkAction, and as always, thank you for your support. 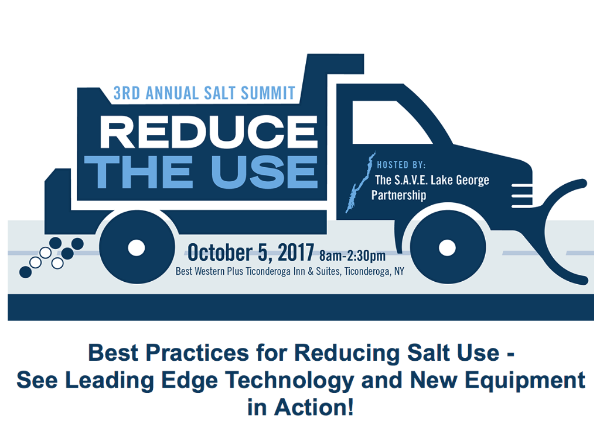 AdkAction is proud to be the leading sponsor and partner for the 3rd Annual Salt Summit on October 5, 2017. The Salt Summit is a free day-long program designed for public and private winter road maintenance professionals in Lake George and across the Adirondack region. The agenda features industry leaders presenting latest methods and equipment for safely reducing the use of road salt—considered the “acid rain of our time.” Unlike acid rain, however, this problem can be solved here and now. Complimentary light breakfast and lunch are provided for registered attendees. Check-in and coffee/tea begin at 7:30 am. Register at this link or call (518) 668-9700. This event is made possible by the generosity of our event sponsors and partners: AdkAction.org*, Douglas Dynamics, Inc., The FUND for Lake George, The Lake George Association, New York State Pollution Prevention Institute*, The S.A.V.E. Lake George Partnership, and WIT Advisers. *Funding provided by the Environmental Protection Fund as administered by the New York State Department of Environmental Conservation. Any opinions, findings, and/or interpretations of data contained herein are the responsibility of the author(s) and do not necessarily represent the opinions, interpretations or policy of Rochester Institute of Technology and its NYS Pollution Prevention Institute or the State. 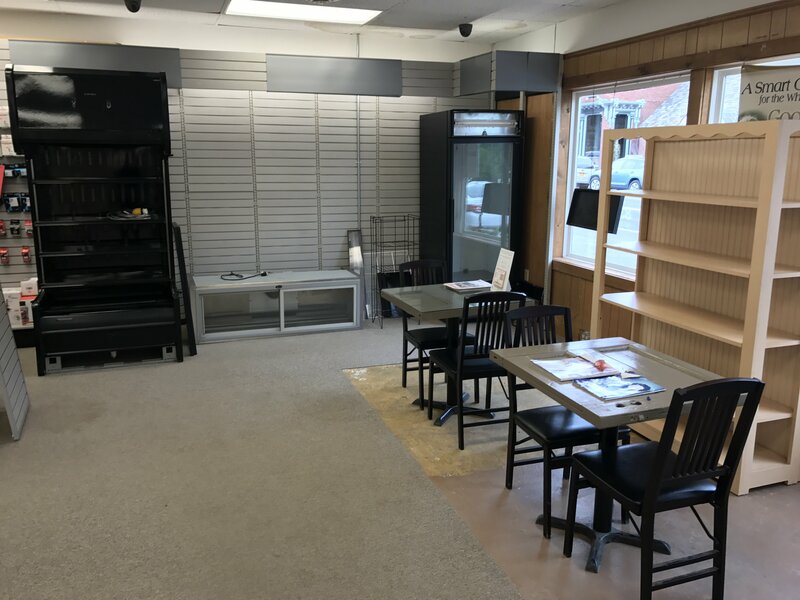 As you may recall, we are sponsoring two revitalization initiatives in Keeseville: "The Farmacy" in the Keeseville Pharmacy and a mid-summer Plein Air Festival as part of a long-term effort to revitalize the hamlet and bring back the booming village it once was but in today’s version. 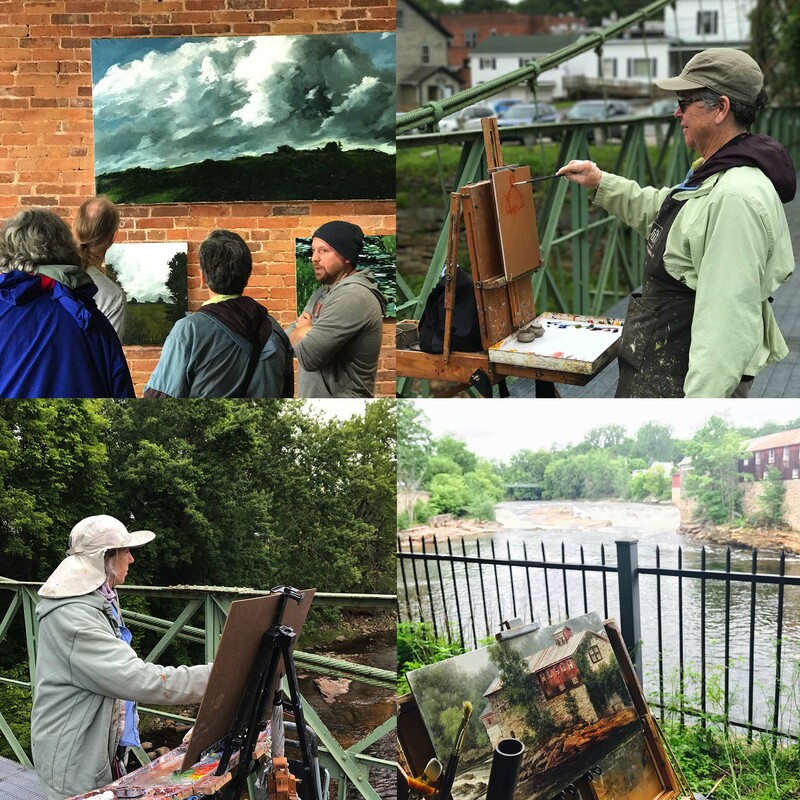 From July 13th to 16th, Keeseville residents hosted 21 Plein air artists who painted the historic downtown and the river in Ausable Chasm during two days of cold, wet weather and then the nearby farms on a beautiful Saturday. The difficulty of painting in the rain bonded the group into hardy outdoor veterans overnight and resulted in a spectacular art show of 54 paintings at the Block Gallery Saturday night and Sunday. Over a hundred people attended the Saturday evening wine-and-cheese reception and some twenty paintings sold during the two-day show. We’re hoping next year is just as successful. Now that we’re up and running we need to spread the word far and wide that fresh food is once again available in downtown Keeseville. 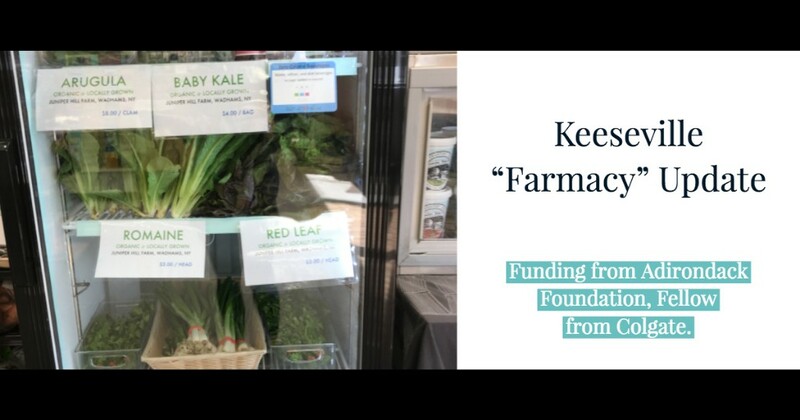 The "Farmacy" in the Keeseville Pharmacy is designed to bring fresh vegetables, cheese, yogurt, flowers, and meat from the budding agricultural community on the outskirts of the hamlet to downtown which has been without a grocery for the past four years. 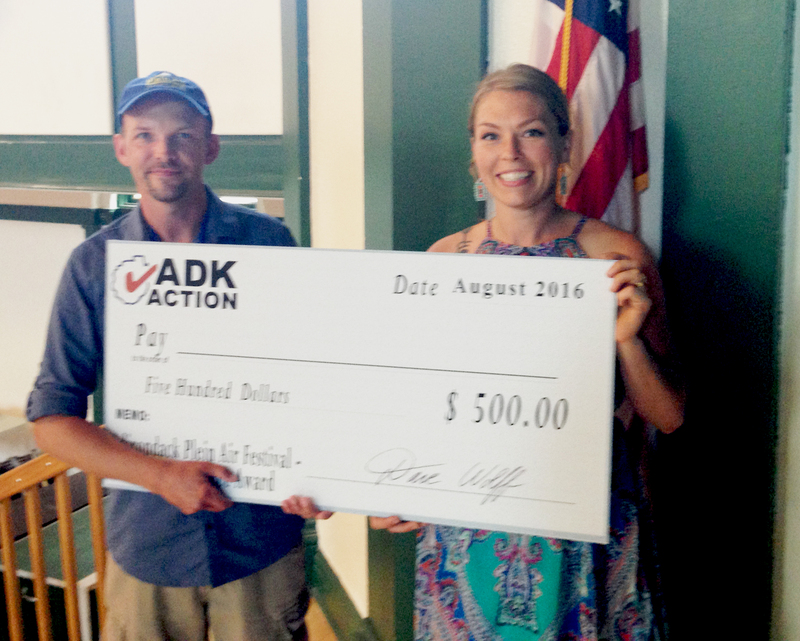 For the second year in a row, AdkAction was a proud sponsor of Cycle Adirondacks. 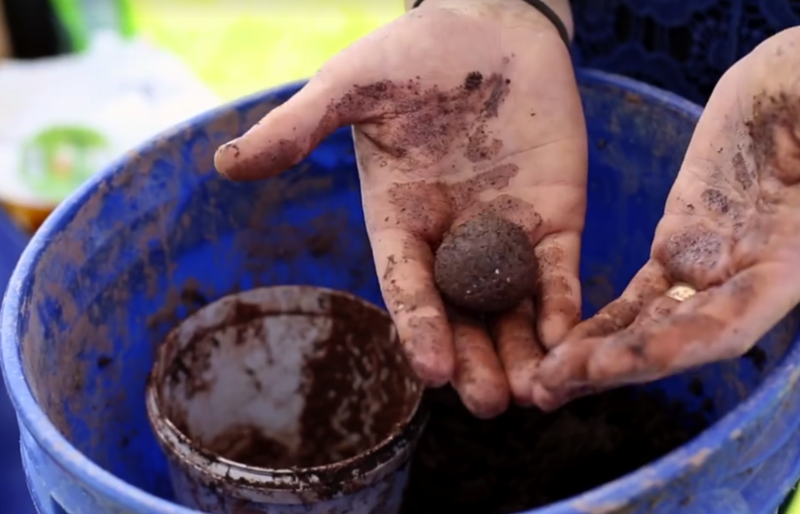 We highlighed the Adirondack Pollinator Project by making "seed bombs" with the riders this year. Everyone had the chance to throw the seed bombs at the roadsides to help create pollinator habitat. With a little luck, next year the riders will see blooms on the roadsides and know that they played a part in hands-on pollinator conservation efforts! Like the work we are doing? After serving two full terms as Chairman of AdkAction, Dave Wolff has passed the baton to Tom Boothe. All of us at AdkAction would like to express our gratitude to Dave for his unwavering leadership and tireless commitment to Adirondack Communities. In addition to being a founding member of AdkAction and becoming the authority on all things Broadband in the North Country, Dave has created and sustained our Broadband, Technology in the Classroom, and Assessor's Conference projects and pulled many all-nighters to keep the organization strong and relevant. Thanks to Dave for always providing a positive outlook and strategic direction for our organization. You leave enormous shoes to fill. Luckily, Tom Boothe has big feet. Tom retired in 2002 as a Captain in the U.S. Navy Civil Engineer Corps after over 30 years of service. He was also a senior consultant to the Navy for several years after retirement. He has a BS in Civil Engineering from U of Michigan, an MSCE from U of Washington, and is a registered Professional Engineer in New York. He's on the boards of Lakeside House Mental Health Facility, Dewey Mountain Friends, and the Saranac Lake Village Healthy Infrastructure Advisory Board; and he is Treasurer of the Osgood Pond Association, as well as President of the Beech Hill Camp Property Owners Association. Tom has done the 90 Miler Canoe Race 16 times, including his first time at age 2. Tom has been critical to the development of AdkAction's Strategic Plan and has served as our treasurer for the past 2 years. Paul Lamparski has taken over the role of treasurer and has already proven himself to be indispensable. Steve Maikowsi continues to serve as Vice Chair, and Mike Pries continues to serve as secretary. Many thanks to the dedicated and passionate board members of AdkAction. We are looking to fill two vacancies on our board in the coming months. Specifically, we are looking for dedicated and passionate individuals with a legal background and/or experience and interest in grant writing. Please contact info@adkaction.org if you would like to discuss serving on our board. Please join us in welcoming Andy Prescott to the board! 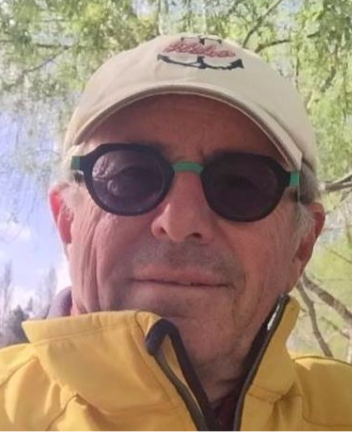 Andy Prescott is the Founder and retired Executive Principal of Einhorn Yaffee Prescott Architecture. Andy is also the past board president of Adirondack Architectural Heritage (AARCH). Andy and his wife Kathy live in Port Douglass on Lake Champlain. They have two grown children and one grandson. 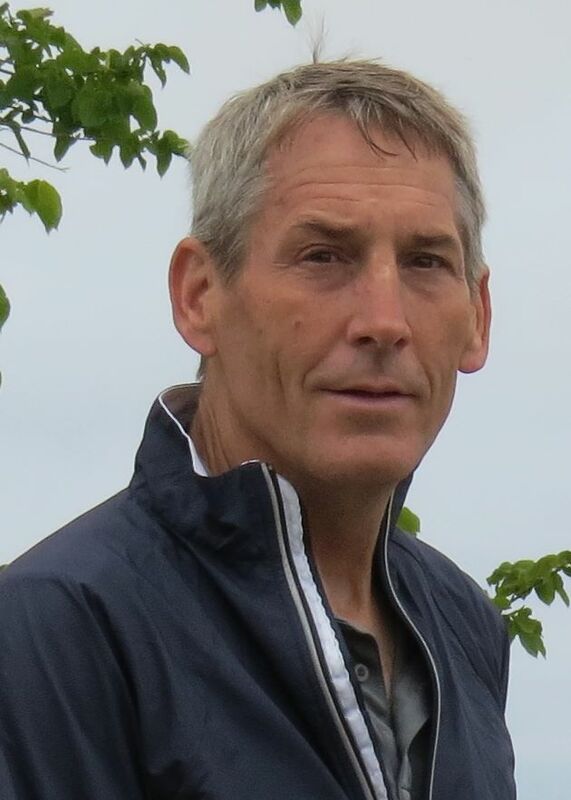 Andy is a licensed Coast Guard Captain and ASA certified sailing instructor specializing in offshore ocean sailing. 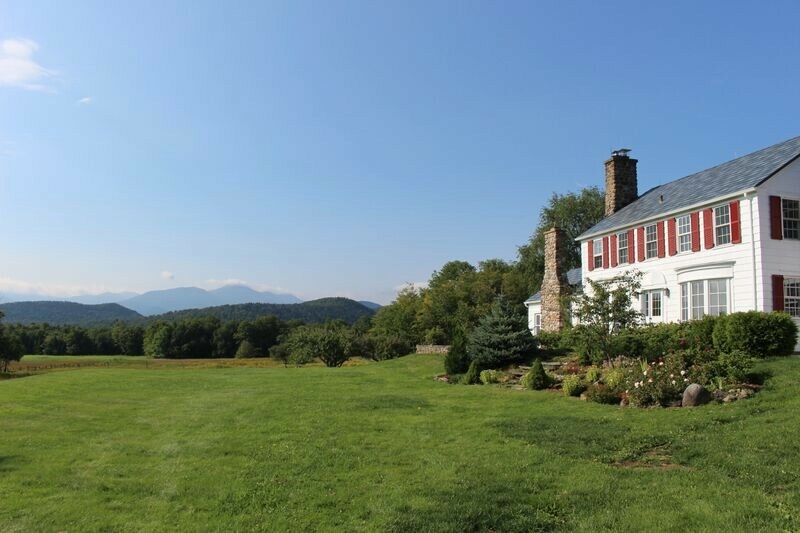 Andy’s ancestors moved from Boston to the Adirondacks in the 1830’s and the family has been here ever since. Although Andy spent the majority of his professional career in Washington DC he and Kathy have always spent as much time as possible in the Adirondacks. Wine, Cheese, and Art at the 1719 Block Gallery in Keeseville, located at 1719 Front Street, Keeseville. Tickets are $10 and all proceeds support AdkAction's Keeseville Revitalization Project. RSVP Here, or just show up! If you can't make it on Saturday night, visit the free Show and Sale on Sunday from 10 am - 3 pm. 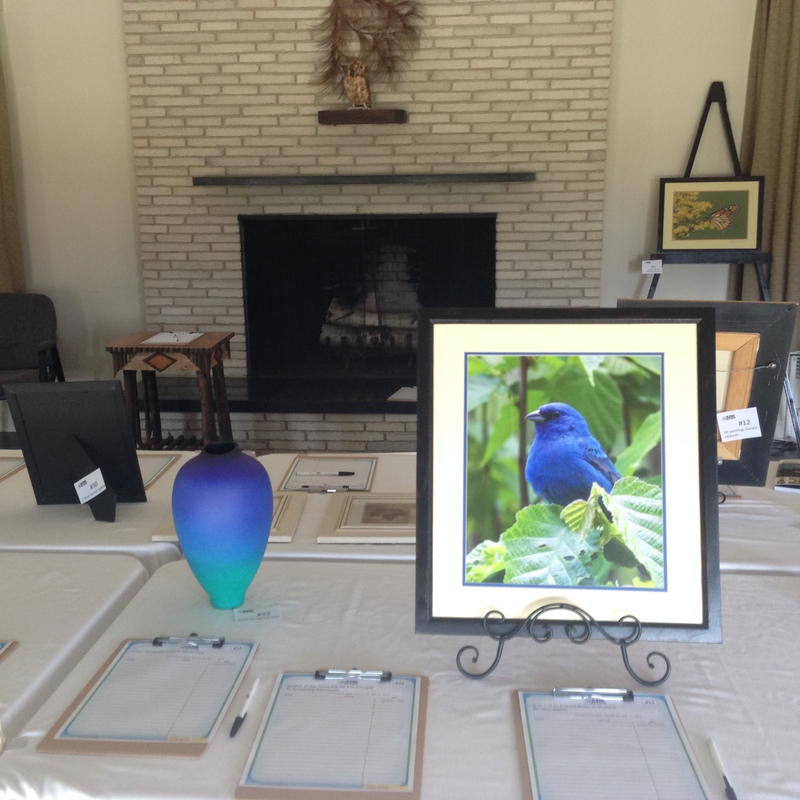 Above: Photos were taken during the 2017 Plein Air Festival. Wednesday, July 19th at The Wild Center - Reception at 6:00 pm, Lecture at 7:00 pm (RSVP Required). 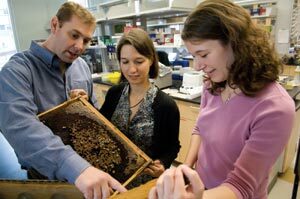 We are proud to bring Dr. Christina Grozinger, director of the Center for Pollinator Research at Penn State Universtiy, to the Adirondacks next week to give lectures on the topic of "The Global Pollinator Crisis." The lectures are free and open to the public. Our Annual Meeting and Silent Auction is fast approaching. All members should have received invitations. The Annual Meeting will be held at historic Camp Wenonah on Upper Saranac Lake from 5:30 to 8 pm on July 26th. There will be food and drink and a chance to see your fellow members, hear about our current programs and elect a new slate of officers for AdkAction.org. We hope to see all of you there at our one and only annual event. If you cannot make it but still want to support our annual benefit or want to get a head start on the bidding for silent auction items, click the link below. If you have already RSVP'ed, no action is necessary. If you have not, please visit this link to register. Please join us for a family style, locally-pollinated meal near the shores of Upper Saranac Lake. 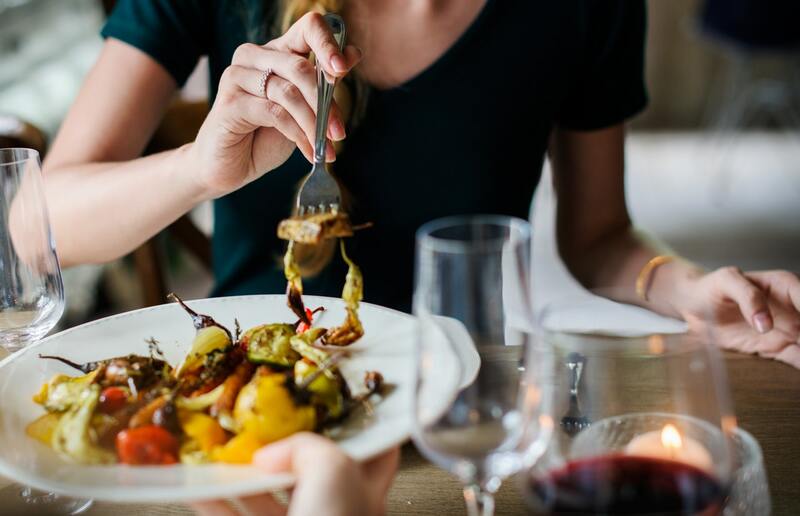 You will hear about the various methods of pollination that took place in order for each part of the meal to come to fruition. At the end of the evening, we will be drawing the winners from our summer-long raffle. Prizes include a Flow Hive and a pollinator garden makeover. Dress is casual, and the event begins at 6:00 pm. Tickets are $100 and on sale now. "How can we get all of this sustainable locally grown food downtown?" With the help of many generous donors, we have reached our goal of raising $4000 for the Keeseville Farmacy initiative. Thank you to everyone who generously donated to make this possible! 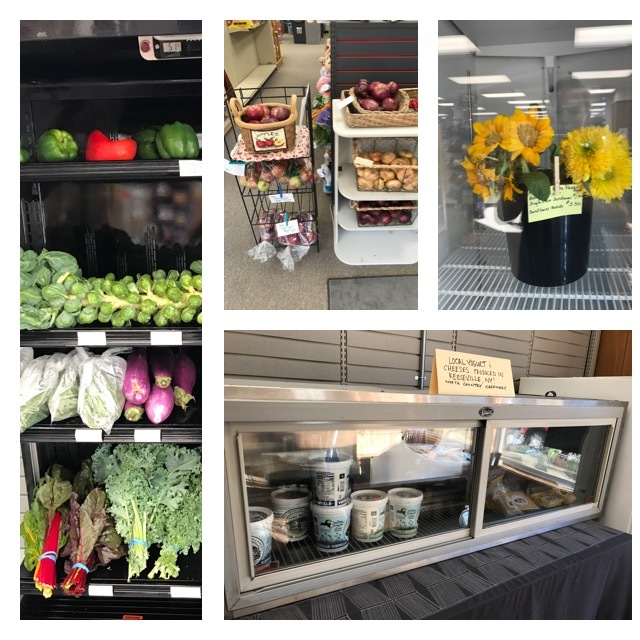 AdkAction staff and members purchased and installed coolers for the vegetables, eggs, and dairy products last week, and we are still looking for a freezer. Signs will soon be printed and installed. With a little bit of luck, the Farmacy will be open to the public by early August. Learn more about the project here. Little by little, we are reaching our goal! AdkAction members are the lifeblood of this organization. We started our Summer 2017 Membership Drive on June 1st with the goal of earning 100 new members in time for our Annual Meeting on July 26th. We are 33% of the way there, thanks to many of you! If you are not a member yet, please consider joining today! If you are a member, consider forwarding this email to someone you know with a nudge to join. New members will receive a 6-month subscription to Adirondack Explorer, a "Hold the Salt" magnet and wildflower seeds to attract pollinators. We received a grant for the road salt project, and we have two special offers for new members! We have good news! 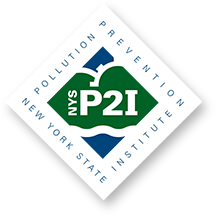 AdkAction just received its first grant from the New York State Pollution Prevention Institute to continue our work of reducing road salt across the region (You can view the full press-release here). We are also launching the "Hold the Salt" campaign today! Every new member of AdkAction receives a free vehicle magnet to help spread the message that we are all fed up with the overuse of road salt in the Adirondacks. You can see a preview of the car magnets a bit further down in this email. Another fantastic announcement: Programming for the Adirondack Pollinator Project will kick-off during National Pollinator Week, June 19-25th! Pollinators, like bees and butterflies, are a non-threatening topic for discussion, and yet when the conversation begins, we invariably find ourselves talking about deeper issues like insecticides, pesticides, industrial agriculture, and climate change. We are excited to inspire more of these conversations across the Park this summer. We can all make positive change by planting pollinator gardens, avoiding plants treated with neonicotinoids, buying local and organic foods, and engaging in citizen science. When we do, we are helping more than just pollinators, we are helping our communities harmonize with nature and boosting the local economy. Join AdkAction today and we will send you three free seed packets and info on how to help pollinators! 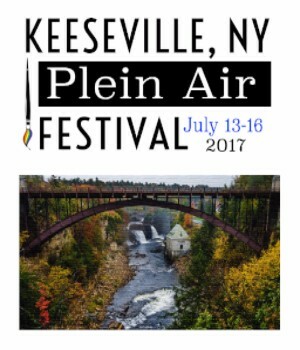 Finally, I want you all to consider visiting Keeseville this July for our first annual Keeseville Plein Air Festival. Keeseville is a small hamlet (population 1,784) in the Champlain Valley. 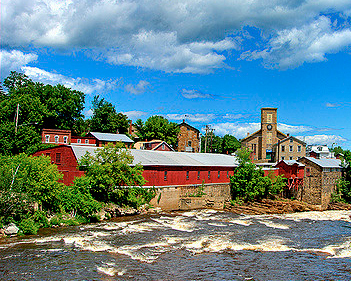 The hamlet features breathtaking historic bridges and buildings, the famed "AuSable Chasm", and a budding sustainable agricultural district. You are invited to join us for a Special Preview Party and Sale on July 16th from 6 - 9 pm at the renovated Block Gallery on Front Street. Come view freshly-painted art and enjoy wine and cheese to support community revitalization efforts. Thank you for taking the time to read about our work, and please consider becoming a member today! Our goal is to entice 100 wonderful people to join AdkAction this summer, providing the support we need to continue our work on important Adirondack projects. We are offering three free gifts for new members, including a 6-month subscription to Adirondack Explorer, a "Hold the Salt" car magnet and free pollinator-attracting seeds. You can choose to receive just one or all three. Just click this link and fill out the simple form to get started. 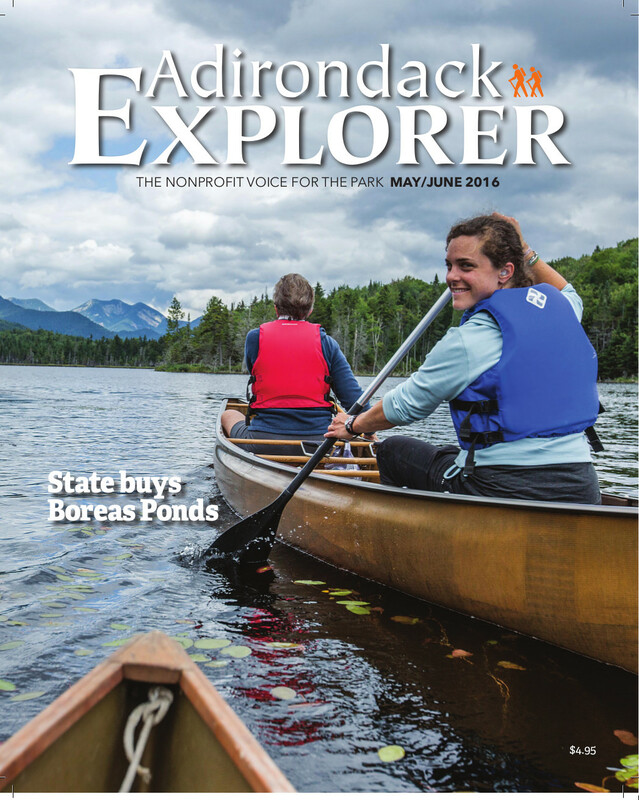 Free 6-Month Subscription to Adirondack Explorer! As a special incentive for new and renewing AdkAction members, we are partnering with Adirondack Explorer to offer a free 6-month subscription to the bimonthly magazine to all new members. AdkAction awarded $20,000 New York State Pollution Prevention Institute Community Grant to prevent road salt pollution in the Adirondacks. All new AdkAction members will receive a free vehicle magnet to show their support for reducing road salt in the Adirondacks. The arts festival will showcase Keeseville’s mix of natural beauty and historic architecture and hopefully attract a wide range of artists, which in turn will assist the community’s revitalization. Artists and local sponsors are signing up but we are in pursuit of more of both. If you or someone you know is interested in an artist slot, registration is available at adkaction.org/art. If you would like to support this project with a donation, you can do so here. Pollinators need diverse pollen and nectar sources, so the Adirondack Pollinator Project has ordered 30,000 seed packets to help the Adirondacks bloom with hope for our pollinators. The seeds are a mix of annual and perennial wildflowers that are appropriate for our region. Get yours today! The Adirondack Pollinator Project will kick off at area farmers’ markets and The Wild Center during National Pollinator Week, June 19-25th. We continue to grow stronger as an organization because of all the wonderful connections we are making around the park. As our name promises, 2017 is shaping up to be a year of strong action for our organization. We are planning several major new projects, including a summer “Adirondack Pollinator” event series drawing attention to the vital importance of pollinators to our landscape and food security, a Plein air painting festival in Keeseville, NY July 13-16th as part of our Keeseville Community Revitalization Initiative, and exciting new technology in the classroom partnerships. Important progress on the road salt issue continues with research underway on two critical studies and public awareness on the rise. We’ve had the opportunity to present the latest evidence of road salt pollution in Adirondack ground and surface water to town supervisors and county legislators all over the park, as well as to the DEC Commissioner in Albany. The broadband initiative continues to provide a valuable point of connection for local communities and service providers, and we have some great news to share about the $170 million in FCC broadband infrastructure funding that almost left the state. All of this great work is possible because of our dues-paying members, so thank you so much for your generosity and commitment to a better future for the Adirondacks. Thanks to all of you who have joined or renewed already! If you haven't done so yet, we now offer convenient monthly membership billing plans to increase the ease and affordability of joining our efforts. You can become a member for as little as $7/month! 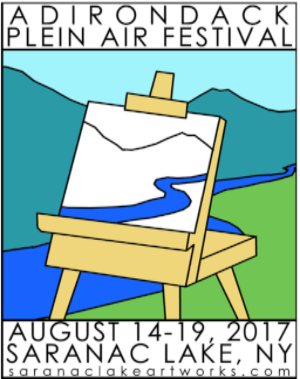 Following our very successful sponsorship of the Adirondack Plein Air Festival in Saranac Lake in 2016, we have decided to organize and host another Plein Air Festival as part of our Keeseville Community Revitalization project. 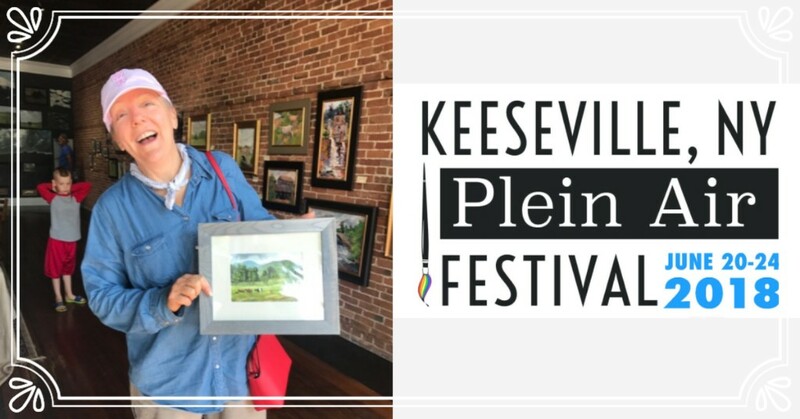 The 2017 Keeseville Plein Air Festival is a new event designed to share the immense beauty of Keeseville with artists far and wide while aiding in community revitalization efforts in the hamlet. Mark your calendars for the weekend of July 13 - 16th, and stay tuned for a full schedule of events. 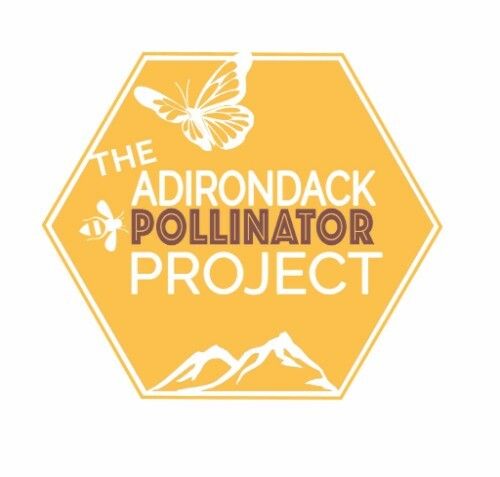 AdkAction, along with our project partners The Wild Center, The Lake Placid Land Conservancy, and Common Ground Gardens are delighted to announce a preliminary program of activities and events for the Adirondack Pollinator Project. Mark your calendars now for these events, and watch the trailer for our feature film showing, "More than Honey." 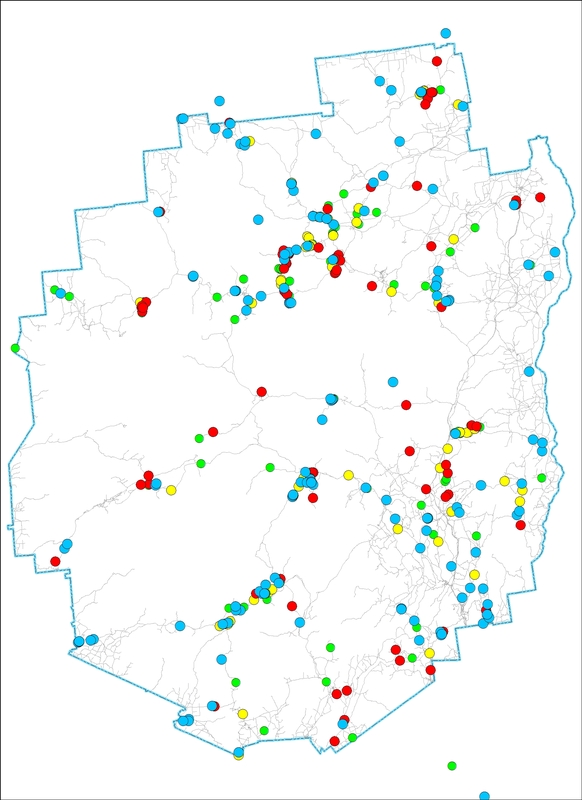 We have two studies underway and have been busy presenting findings to decision-makers across the state. We have begun a multi-phase project to research and quantify the economic impacts of road salt with our partner at Adirondack Research, and we are partnering with Adirondack Watershed Institute (AWI) and The FUND for Lake George to test 400 private wells in the Adirondacks. On January 26th the FCC voted to provide $170 million in federal funding from the Connect America Fund to expand broadband deployment in unserved rural areas of New York State. You may remember that Verizon turned down the $170 Million from the FCC in 2015, and there was uncertainty about whether or not the funds would return to New York. Cycle Adirondacks has released the 2017 route and it includes more extended stays for riders, meaning more adventures and more time in our communities. This year's ride includes stops in Schroon Lake, Keene Valley, and Saranac Lake. The event brings over 350 cyclists to experience the unique beauty of our natural and built environment, and we are pleased to continue to be a sponsor of this great event that gives us the opportunity to help spread our mission and projects around the park. 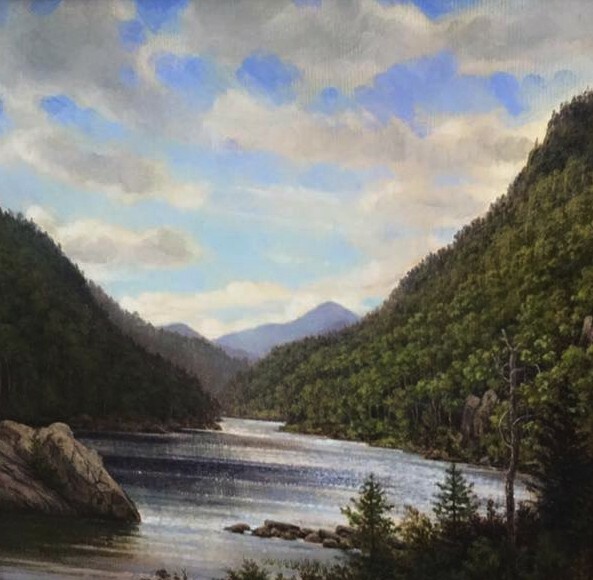 A big "thank you" to all of our friends and members who volunteered to host an artist for the Adirondack Plein Air Festival in Saranac Lake this summer. We have passed along your information to the event's organizer, and she will be in contact with our hosts. We are excited to continue to be a major sponsor for this event that brings so many talented artists into the Adirondacks each year. Thank you for being a friend of AdkAction.org. This e-newsletter is brought to you by the Marketing Committee of AdkAction.org: Steve Maikowski, Chair; Carol Blakeslee-Collin, Joan Grabe, and Betsy Minehan. The cool crisp air, sunny days and vibrant fall leaves of autumn are upon us, and the slower pace of life in the Adirondacks is bringing much-needed rest to many. For some that means vacation, for others, it signals more time at home or with family. Many of our members and friends have made their seasonal transitions to their homes away from the Adirondacks, and to you, we say “Farewell and see you next year!” For all of us at AdkAction.org, the transition to fall has signaled a planning stage. Our board of directors and staff at AdkAction.org gathered on September 26th for a strategic planning retreat at Heaven Hill Farm. We spent a full day talking about our strengths and weaknesses, the status of our projects, and planning for the future of our organization. As many of you know, we are a member-driven, project-based group that focuses on creating vibrant communities in the Adirondacks. We address unmet needs by providing a responsive platform for passionate people to work on issues that affect communities all over this 6 million-acre park. In discussing our future, it is more pressing than ever to get you—our members, partners, and community advocates—to become more involved in our projects. We are working to build coalitions around each of our projects, because there are so many important ways to make a difference. We currently have seven active projects, and we invite you to become more engaged. If one of our projects is important to you, please join a project committee. We are specifically looking for leaders in the following areas: Technology in the Classroom, Cultural Symposium, Promoting Adirondack Art, and Community Revitalization. Please get in touch and we will put you to work! If you are short on time but long on passion, you can also make a difference by becoming a member, renewing your membership, or finding new members. Please click one of the buttons below to help. We would also like to hear your feedback on our newly drafted mission statement that came out of the strategic planning process. Please email us at info@adkaction.org with your comments. AdkAction.org creates projects that address unmet needs, promote vibrant communities, and preserve the character of the Adirondacks. As always, thank you for your support. Our work is only possible because of your generosity and interest in creating a better future for the Adirondacks. Building on the outstanding recent success of AdkAction.org public education efforts on the ecology of the monarch butterfly, we plan to expand on the monarch project in a major partnership with The Wild Center in Tupper Lake, NY. AdkAction.org has set its sights on Keeseville, NY, as the next focus area for our Community Revitalization Project. 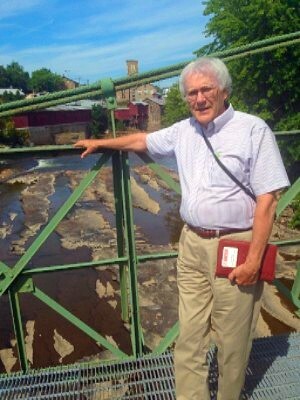 You might remember that in early August, our organization sponsored Roger Brown, Creative Consultant and Architect, to visit Keeseville and provide professional insight as to how our efforts for revitalization might be best spent. AdkAction.org is grateful to everyone who helped us reach our goal of $4,500 towards funding continued research on the “Hidden Costs of Road Salt.” We had twenty-five contributors who donated amounts between $20 and $1,500. This is a wonderful success, and we couldn’t have done it without all of you. Melody Blackmore, Tom Booth, Peter Collinge, Kristen D’Eramo, Phillip Forlenza, Ethan Friedman, Jerry Hacker, Bob Holder, Catherine Kraft, Lower Saranac Lake Shore Owner’s Association, Willie Janeway (Adirondack Council), Lee Keet, Judith Landes, Michelle and Kelley Maggs, Andrea and Steve Maikowski, Betsy Minehan, Mike Preis, Jim Schoff, Marsha Stanley. Kathleen Stewart, David Thomas-Train, Jacob Vennie-Vollrath, Alice Vera, Claire Warren, and Dave and Holly Wolff. At AdkAction.org we pride ourselves on being a member organization, and we know that our work would not be possible without the ideas, energy, and contributions of our members. Over the past few months, as part of an effort to build membership outside of the Tri-City area, I have been traveling the Adirondacks meeting with people who are interested in our projects, and enlisting new members. I’ve been to Bolton Landing, Lake George, Old Forge, Newcomb, Northville, North Creek, and Blue Mountain Lake attending rotary club meetings, farmers' markets, and community arts events. The biggest lesson I have learned on the road is that our projects address issues that really matter to people in the Adirondacks. From supporting the arts to working towards fast, reliable internet for all, our projects are relevant to every community in the park. We are looking for new members and new communities to serve. If you know of anyone who would be interested in our projects, please let me know and I will personally reach out. We are currently in the process of developing a student membership to help students become involved in shaping the future of the Adirondacks. We will be welcoming Hamilton College students to Great Camp Wenonah in late September with a presentation on our current projects to kick-off the student membership efforts. If you are involved with a local college contact us and we would be happy to create a special experience for the students in our area. As part of our broader membership development efforts that are directly tied to our current projects (see below), we are delighted to be a sponsor of the annual Cycle Adirondacks, a 7-day cycling tour of the Adirondacks that highlights seven of local towns and villages. Over 350 cyclists from all over the country (and world!) will participate in the event. 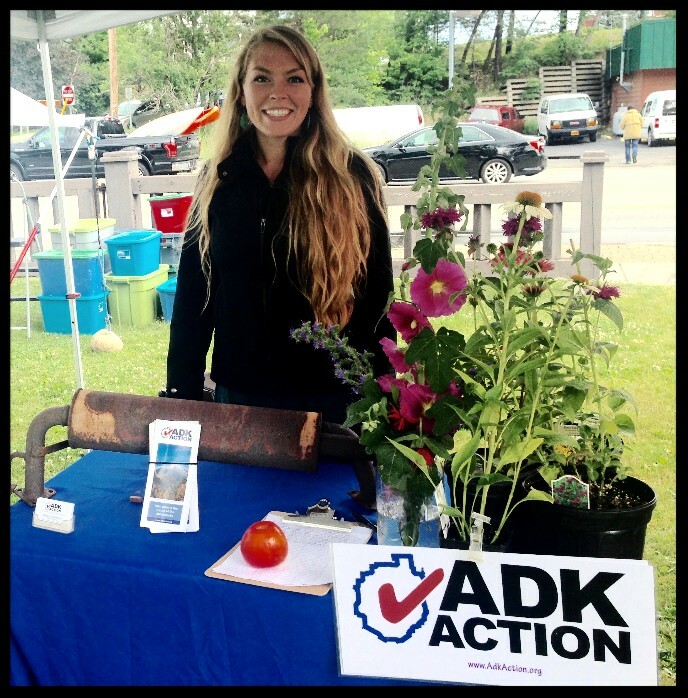 As a sponsor, AdkAction will have many opportunities to highlight for both riders but especially local residents in each community two of our key projects: monarch conservation and community revitalization. We will be setting up a booth at several of the nightly entertainment spots along the ride to tell riders and locals about these and other AdkAction projects. We will also be organizing and speaking at a special “Farm to Table Dinner” in Keeseville on August 22. We have five tickets to the Farm to Table Dinner in Keeseville on Monday evening. If you would like to join us for a beautiful and completely local meal, please let us know ASAP (email brittany@adkaction.org). The first 5 AdkAction.org members to respond will get the seats! In exchange for dinner, you can make a contribution to AdkAction.org in any amount you choose. Come see AdkAction.org in action! 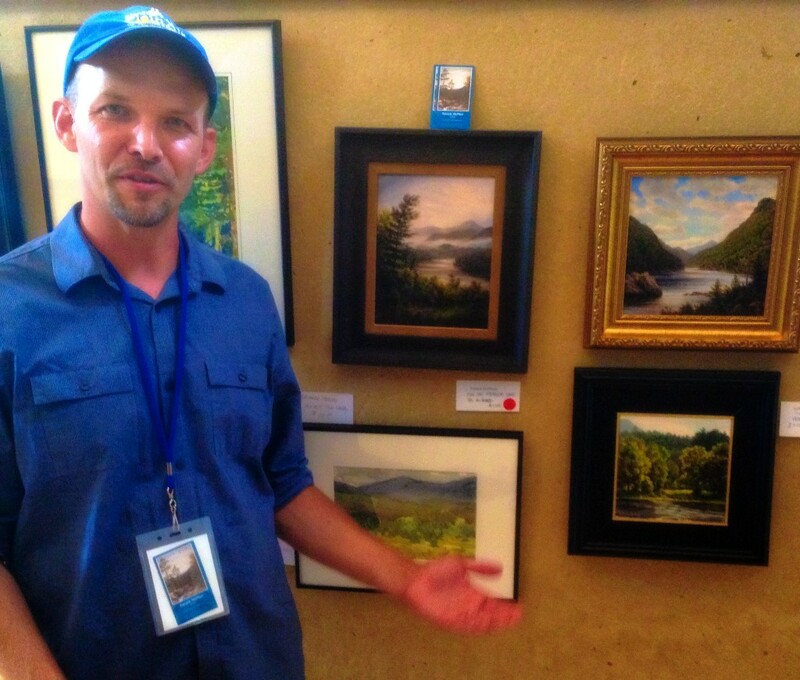 AdkAction.org was proud to sponsor the Adirondack Plein Air Festival’s Special Preview Party. We are proud to have been a sponsor for such a successful event that has a large positive economic impact on the local community and provides an opportunity to showcase the breathtaking beauty of the Adirondacks through the work of 70 artists. We also sponsored the "People's Choice Award," a very special prize of $500 given to the viewers' favorite artist at the event. The winner was artist Patrick McPhee! AdkAction.org’s work on providing high-quality broadband access to all residents of the Park continues with outstanding progress. The New NY Broadband Program Phase 1 awards were announced. Roughly $54 million of the Program's $500 million in funding was awarded to 25 applicants. Four awards were made that cover census blocks in the North Country. The new Time Warner Communications-Charter company will complete upgrading its roughly 2 million NYS subscribers to 100 mbps by the coming winter, two years earlier than promised in January 2016. The company also submitted the addresses of the 145,000 additional households that it will add to its network throughout the state over the next 4 years. Phase 2 of the New NY Broadband Program was announced with applications being accepted from October 17 thru November 30. This phase is design to fund the expansion of high-speed broadband access to the many underserved and unserved areas in the North Country. On August 11, Dave Wolff, Chair, presented an update on the status of Broadband Access in the North Country at the quarterly meeting of the Population Health Improvement Program of the Adirondack Health Institute. It is a NYS Department of Health-funded program that is charged with improving the health of communities in Franklin, Clinton, Essex, Hamilton, Warren and Washington counties. Lack of Internet access is viewed as one of the factors that impedes the health of North Country residents. AdkAction.org continues to host a monthly Broadband Conference Call to encourage communication between community members, state and local government officials, and service providers. On August 3, eminent monarch scientist Dr. Lincoln Brower delivered a lecture at The Wild Center in Tupper Lake, painting a starkly cautionary outlook for the long-term survival of the wondrous Eastern migration of the colorful insect. It was Dr. Brower’s second lecture at The Wild Center, both sponsored by AdkAction.org as part of our butterfly initiative. The survival of the monarch species itself is probably not in jeopardy, Dr. Brower said, but their 2,500-mile-or-more journey from winter sanctuaries in Mexico to Texas, the Midwest, Canada and our Adirondacks is highly threatened. As recently as February, monarchs seemed to be on the rebound. Scientific estimates of their numbers in the fir forests in high mountains west of Mexico City showed an impressive increase to 10 acres, more than three times what was counted in 2015, but still a drastic decline from 20 years ago. Right at the time when monarchs were rousing from their winter torpor to fly north, a harsh storm of snow, ice and winds estimated at up to 70 miles per hours struck the sanctuaries. Butterfly scientists were not allowed access to study the loss, but some have estimated a 50% to 80% mortality rate of the butterflies. Since the storm, Mexican officials have allowed large-scale “salvage logging” in the butterfly sanctuaries. Dr. Brower showed pictures of long convoys of logging trucks hauling trees out of the area. The impact on this vital habitat for monarchs will not be clear until next year’s population count in February. Journey North, an online network which tracks monarch sightings as they spread north into the U.S. and southern Canada, is reporting low numbers this year. Loss of milkweed habitat in the Midwest continues with near-ubiquitous use of GMO corn and soybean crops immune to the effects of Roundup and other pesticides, which are deadly to milkweed, on which monarchs totally depend on for reproduction. However, Dr. Brower reported some bright spots. Texas, the key state for monarch re-establishment in the U.S. every spring, has been a leader in restoration of habitat. The U.S. Fish and Wildlife Service appears to be taking a close look at a petition spearheaded by Dr. Brower and others seeking to have monarchs added to the threatened species list. A decision is due in 2017. 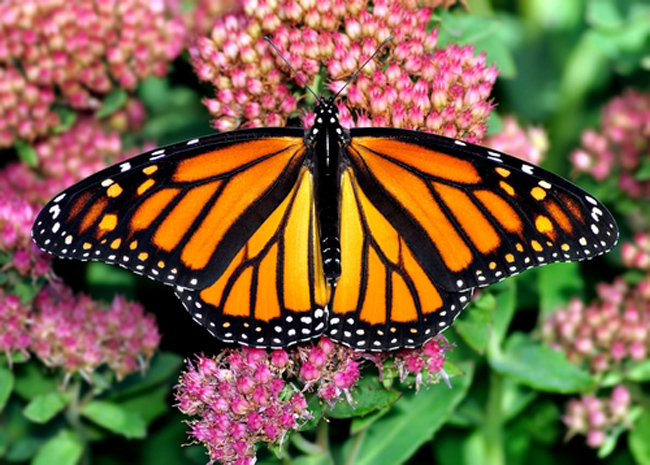 Public awareness and action to protect and restore monarch habitat has soared. If you missed the lecture, you can watch it here on The Wild Center’s website. 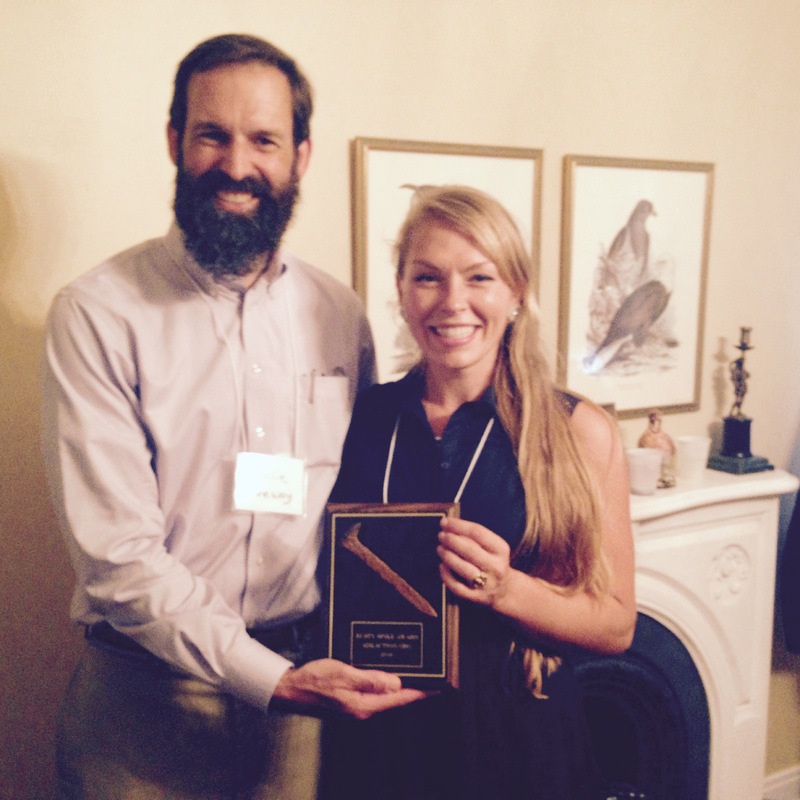 Caption: Brittany Christenson, Director of AdkAction.org, presenting Willie Janeway, Executive Director of the Adirondack Council, with the “Rusty Spike Award,” for being the largest contributor to our study. Willie was so confident in our efforts that he contributed $500 to our new road salt study on behalf of the Adirondack Council. 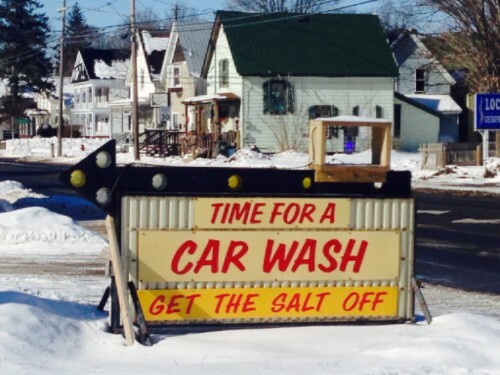 AdkAction.org continues to be a regional leader in the fight against road salt. We have created a new road salt working group comprised of town supervisors, government agency representatives, and nonprofit leaders that are ready to join our road salt reduction efforts. The timing of the formation of the working group is ideal, as public awareness of the many harmful impacts of road salt continues to grow. The Watertown Daily Times published several recent articles (see especially: http://www.watertowndailytimes.com/news03/the-problem-with-salt-road-salt-contamination-a-plague-across-the-state-20160807) highlighting the many problems with road salt use in New York State over the past 40 years. AdkAction.org is committed to continuing to reduce the harmful use of road salt on our roads. AdkAction.org’s new campaign, “How Much is Road Salt Costing Us?” is utilizing crowdsourced fundraising in order to fund a study to document the many harmful economic impacts of road salt, particularly the rusting and destruction of roads, bridges, and other transportation infrastructure. Since launching this campaign, we have raised $3,130 of our $4,500 goal. We need your help to raise the remaining $1,370 by September 6th. To donate on-line, please click the button below. Help Fund the Road Salt Study, Donate today! Our current Community Revitalization Project brings us to Keeseville, NY. On August 9th and 10th, we sponsored Roger Brown, a Creative Consultant and Architect from Rochester, to visit Keeseville and share his expertise and ideas for the charming agricultural community. Roger Brown and AdkAction.org’s Director, Brittany Christenson, met with the two town supervisors for the hamlet of Keeseville and learned about the opportunities and challenges facing the recently dissolved village that is now a hamlet. Stay tuned for more information about Roger’s insights and potential plans for AdkAction.org to be a part of the revitalization. We want to thank all of our members for contributing to our very successful annual meeting on Thursday, July 21 at Heaven Hills Farm. A spectacular summer evening saw almost 100 members in attendance, a presentation by Brittany Christenson, our new Executive Director, and a record $5,800 in silent auction proceeds. This revenue will provide a boost to various current AdkAction projects in need of additional revenue support. Also, three Board members, Airlie Lennon, Fred Schwartz, and Mark Kurtz have recently left the Board. We want to thank them for their tireless work, strong advocacy, and many years of outstanding service for AdkAction.org. The next AdkAction.org sponsored annual Tax Assessor’s Conference will take place in late November or early December 2016. Details to follow in the next e-newsletter. Brought to you by the Communications Committee: Steve Maikowski, Chair; Members: Joan Grabe, Betsy Minehan, and Holly Wolff. 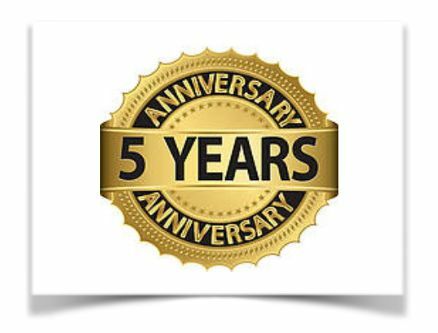 AdkAction.org, established in 2011 by a small group of local residents, is celebrating its 5th anniversary. 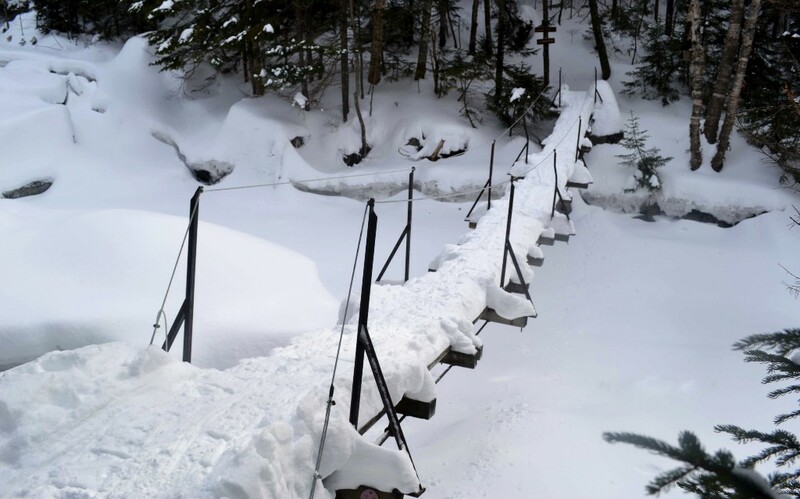 Its core mission remains getting things done for the Adirondacks by taking on non-partisan projects with widespread support that will benefit both permanent and seasonal residents. Originally formed to look at fair and consistent property assessments, the group has contributed to the Adirondacks via projects as diverse as Monarch butterfly preservation through sponsorship of “Flight of the Monarch” at the Wild Center and promoting reduced roadside mowing to promote milkweed growth; a first-ever Park-wide symposium bringing together 83 arts organizations which resulted in a shared arts calendar; and sponsorship of regional road salt conferences as well as stream monitoring equipment, which contributed to a reduction of 30% salt use per mile. “What differentiates our organization is that we identify projects that need action, and quickly through concentrated effort make change happen. We also collaborate with other organizations here to increase our joint impact,” according to Dave Wolff, a founding Board member and current Board Chair, Members of the Board include local and seasonal residents with diverse professional backgrounds in cardiology, biological science, philanthropy, engineering, law, construction, marketing and sales, management consulting, and photography and art. Sponsoring school teacher education in the use of technology in the classroom. "Dave Wolff and AdkAction.org have been instrumental in raising the awareness of how important affordable, high speed broadband is for economic development and education in the Adirondack Park. As the Village of Saranac Lake explored options for bringing fiber optic broadband into Downtown, Dave's insights helped us find a solution that will benefit residents and businesses in the Village for years to come." -Jeremy Evans, AICP, Community Development Director of Saranac Lake. With so many recent successes, and recognizing that its ability to grow membership and take on new projects was limited by scarce resources and a lack of full-time senior staff, the organization has just hired a new full-time Executive Director (see article below). “While we have accomplished much in these past five years, the Board felt that adding an experienced full time Executive Director would allow us to significantly grow membership, which is the key to increased funds that will allow us to take on more projects, to provide a more focused approach to fundraising and grant writing, and to improve marketing and publicity campaigns,” explained Board Chair Wolff. After a careful search, AdkAction.org hired Brittany Christenson. Mrs. Christenson will be well known to many local residents. For the past several years, she has served as the Administrator to one of the best known local farms in our area, Fledging Crow Vegetables, in Keeseville, NY. While with Fledging Crow, she managed packing and logistics while overseeing a staff of up to 20 seasonal employees. She was at the Saranac Lake and Adirondack Medical Center farmers’ markets weekly throughout the summer, and she helped grow Fledging Crow’s CSA membership by 65% in two years. She also secured state grants to support innovative sustainable growing techniques on the farm. 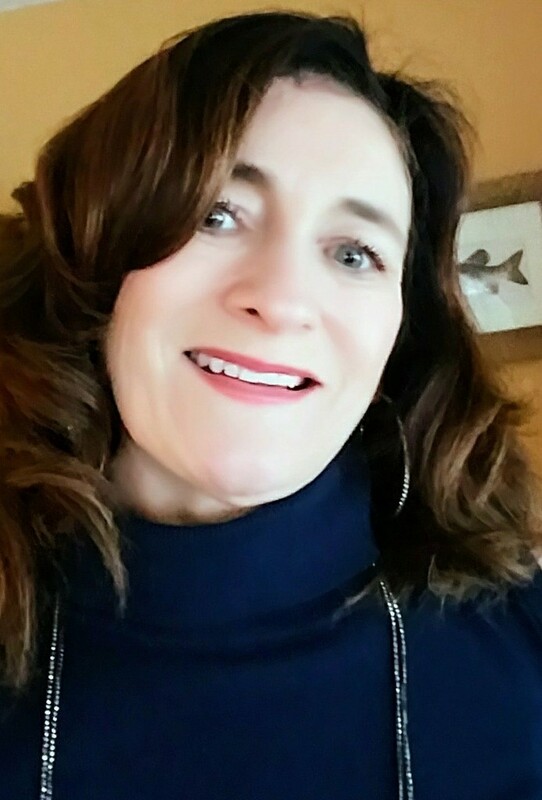 Mrs. Christenson also worked at the North Country Healthy Heart Network as their Community Nutrition Coordinator where she learned how to build community buy-in and develop innovative program evaluation metrics. Her experience there prepared her to work well with a board of directors and collaborate with other non-profits in the Adirondacks. Mrs. Christenson, who some may still know by her maiden name Harris, received her BA in mathematics from Carroll College in Helena, Montana and also has extensive experience in marketing, social media development, publicity, and website development. For Ms. Christenson, the opportunity to join AdkAction.org was exactly the sort of challenging career step she was looking for in the Adirondacks. Among Ms. Christenson’s new goals will be to significantly expand its membership by extending the reach of AdkAction.org beyond its current strengths in the Saranac Lake/Lake Placid/Tupper Lake region into other areas of the Park, especially the southern tier and the Old Forge/western regions. AdkAction.org is sponsoring a lecture by Lincoln Brower, emeritus professor at Sweet Briar College, to be held at The Wild Center, August 3, 2016 at 6 pm. There will be a short reception with refreshments following the lecture. 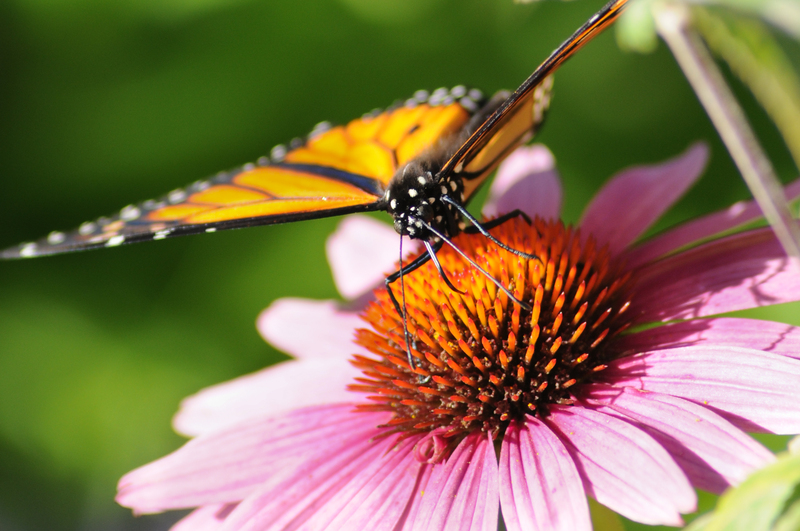 Professor Brower will discuss the current status of the monarch population, which dropped drastically due to the use of herbicides such as Roundup and subsequent scarcity of milkweed plants—the plants the butterflies depend on for food and for their propagation. Last winter the numbers of monarchs appeared to rise a bit only to be decimated once again by a late winter storm this past spring just as their migration from Mexico began. AdkAction.org has continued its efforts to prevent further decrease in the numbers of this fascinating insect. Once again a letter was sent in April, 2016, to all highway superintendents in the Adirondacks requesting they not mow the road sides between late June and mid-September so as to give the migrating monarch crucial access to the milkweed. AdkAction.org continues to distribute milkweed seed to those wishing to plant it in the Adirondacks. 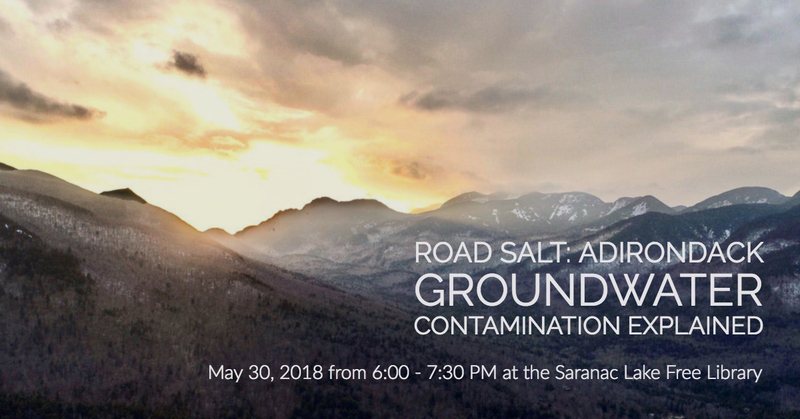 ADKAction.org has sponsored three road salt seminars in partnership with Paul Smith's College. The “Road Salt Management Conference” focused on educating responsible state and local officials on the many harmful impacts of road salt, and actively worked on developing and implementing new winter road maintenance methods by the NYSDOT. The result: a 30% reduction in the use of environmentally harmful road salt! But there is much more to be done. Our current efforts are focused on economic motivations for reducing road salt use. We recently funded a study showing that the data indeed exists to demonstrate costs associated with road salt damage to personal vehicles, DOT Vehicles, and bridges/NYS infrastructure. We are working with Adirondack Research to produce a study on the "Hidden Costs of Road Salt"; The full study will need to be grant funded, but in order to justify a grant, we need to sponsor a smaller preliminary research effort ​as an example of the type and quality of work we intend to produce. 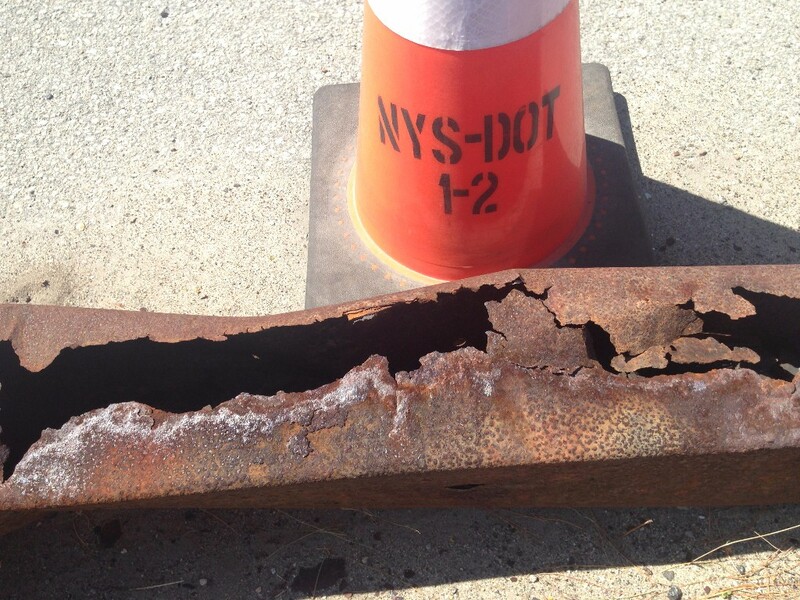 The preliminary phase of research is focused on calculating the cost of rehabilitation or replacement of bridge decks over a five-year period for each region and county in New York. AdkAction.org will match new dollars raised in an ADK Gives campaign to reach our goal of raising $9000 to pay for the research necessary to show that road salt is not only an environmental concern, but an economic concern as well. Please email us at info@adkaction.org and let us know if you are willing to donate towards this very important project. At the state and regional levels, much is happening in the world of broadband, and ADKAction.org continues to play a strong role in the effort to bring greater internet access to the residents of the Adirondacks. As you may remember from our last e-newsletter, the NY Public Service Commission approved the merger of Time Warner Cable and Charter Communications earlier this year, and the New NY Broadband Program was officially launched. In early May, the Federal Communications Commission (FCC) gave final approval of the merger. As a condition of the merger approval, by mid-summer Time Warner Cable will be required to identify an additional 145,000 households in its current franchise areas that it will add to its network. 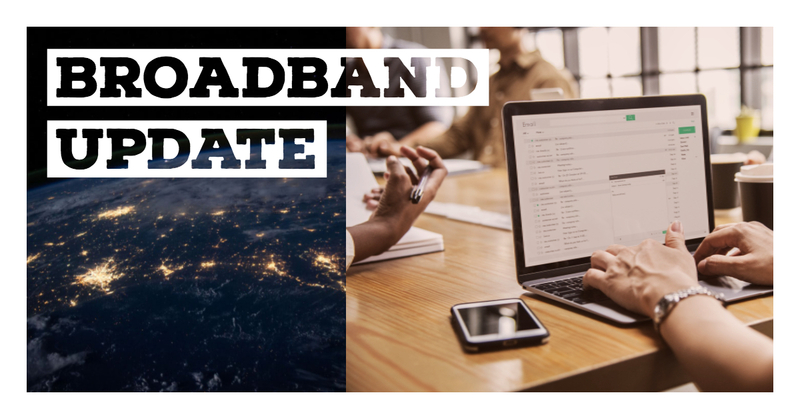 Funding through the New NY Broadband Program was announced to connect all un-served and under-served households in the state at speeds of at least 100 Mbps. The funding is to be released in phases. The application deadline for Phase 1, focused on the areas in brown on the map above, was April 15th, and winning providers will be announced in the coming months. Requests for Proposals for Phase 2 funding will be let during the summer. 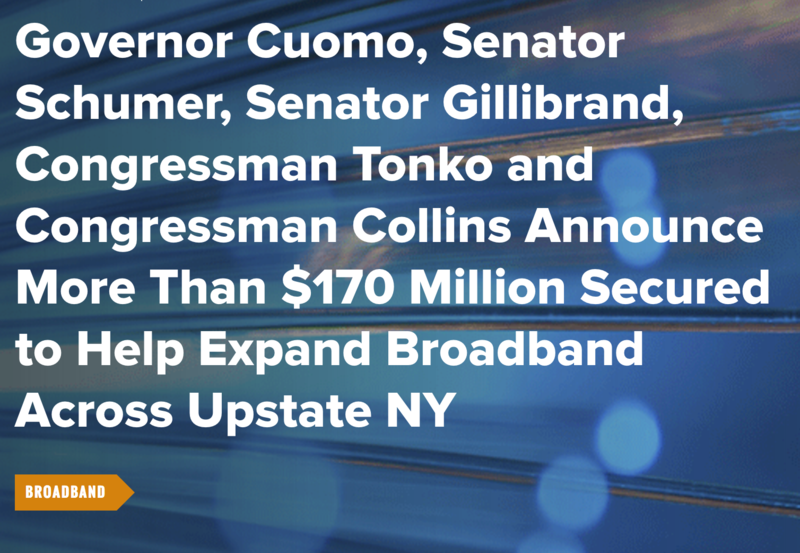 Of great importance at the federal level is the status of the $170 million in federal aid that was offered to Verizon to expand broadband in rural areas of New York through Connect America Funds. Verizon declined to accept the funding, and now the $170 million may be auctioned off to another state. Board Chair Dave Wolff recently co-signed a letter authored by the Adirondack Council supporting Senator Schumer, Senator Gillibrand, and Governor Cuomo’s request to the FCC to reconsider diverting the funds and to instead offer them to other service providers in New York State. AdkAction.org continues to host a widely-attended monthly Broadband Conference Call to encourage communication between community members, state and local government officials, and service providers. Join us for drinks, great food and conversation, and the Silent Auction. If you're not a member yet, please use one of the buttons below to join so that we can enjoy your company at our annual meeting. AdkAction.org is seeking an experienced leader who will be the "face of Adkaction.org" promoting our brand. He or she will work with members and potential members across the Park, and will develop effective working relationships with economic development offices, tourism bureaus, lake associations, art councils, and key state and local agencies. The Executive Director will also be responsible for all outreach and communications, including overseeing the management of our web site and our social media program. A key objective of this position is to develop and implement programs to significantly expand the membership and to grow geographically over the next two years. 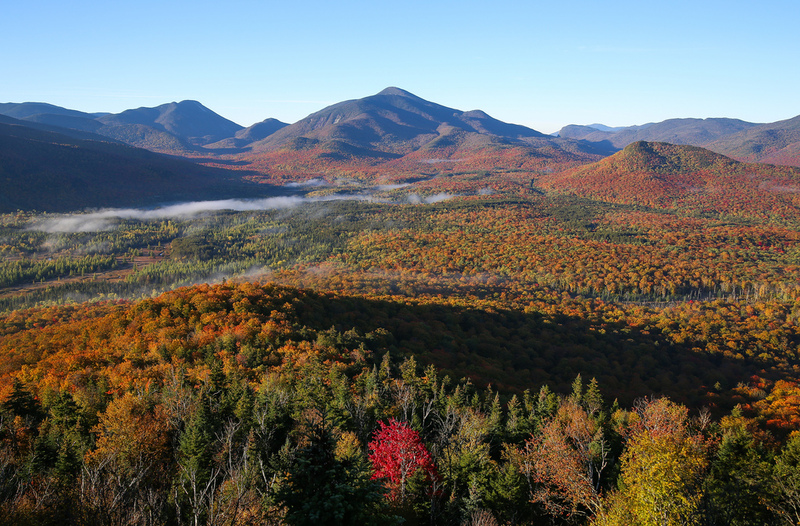 We believe an executive director will help us increase the number and scope of the projects that we develop for the benefit of the people of the Adirondacks. This position is full time and requires at least a two-year commitment. Based on travel requirements, the individual should live within the Park, preferably in the Tri-Lakes area. The position will supplement our current part-time staff. If you know of a candidate, please have them email a letter of interest, resume, and three professional references to info@adkaction.org. If you are not yet a member, or if you are a member who has not yet renewed your membership, now is the time! We ran the first-ever Park-wide symposium that brought together our museums, historical sites, performing and visual arts organizations to develop collaborative programs that will better promote and support them all. Through our continued leadership, recently in cooperation with the Adirondack Council, we have slowed the use of road salt, now the #1 threat to the ecology of our lakes, streams and wells. Our studies have resulted in new practices that have already reduced salt usage in the Park. 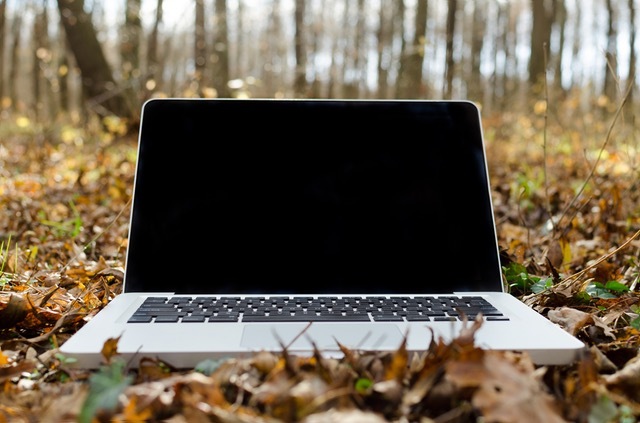 Our continued leadership of the Park-wide broadband coalition is bringing high-speed Internet into many unserved and underserved areas such as Long Lake, North Hudson, and other rural areas throughout the Park. We initiated the restoration efforts for our monarch butterfly population through seedings, education and advocacy, and have successfully pushed for reduced mowing of roadside milkweed plants (and the good news is that they are slowly coming back!). In September we ran another assessors’ conference, the 3rd, aimed at creating a common method for the various municipalities to assess both private and public lands. The assessors now share best practices and processes, helping make property valuations more equitable across the Park. 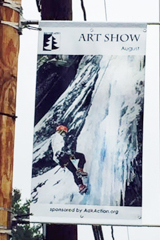 In coordination with High Peaks Artists, we hung banners of local artists' work in Keene and Keene Valley. We have sponsored several projects aimed at revitalizing our local towns through funding teacher training in the use of technology in the classroom, and promotion of the arts. We are a unique project-based organization; we appreciate and need your support; and we get things done that need doing and that no one else has taken on! Won’t you take a moment and click here to become a member or renew your membership now? The NY Public Service Commission (PSC) approved the merger of Time Warner Cable and Charter Communications. The New NY Broadband Program (involving a combined $500M state and $500M private investment in broadband infrastructure over the next 3 years) was officially launched. Conditions imposed on the merger by the PSC will require Charter to make significant upgrades to its network to deliver 100 Mbps by the end 2018, to extend lines to bring high-speed broadband to an additional 145,000 customers within its current franchise areas, and to allow for competitive pricing. The requirements in total will result in an investment by Charter of over $1B. The combined goal of the two announcements is to deliver at least 100 Mbps broadband service to everyone in NYS by the end of 2018. To put things in perspective, the federal government still defines high-speed broadband access at only 6 Mbps download. 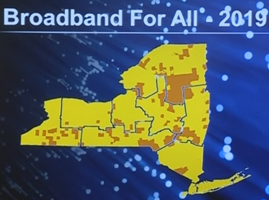 The Charter franchise areas are shown in yellow below; and the areas eligible for Phase 1 funding under the New NY Broadband Program are shown in brown. AdkAction.org is continuing to influence the details of this rollout, which we believe will have a significantly positive economic impact in the North Country. For more detail, go to Broadband Access on our web site. Those of you who have been loyal AdkAction.org members know that we pioneered the attack on New York’s overuse of road salt. We hosted three conferences that were well attended by scientists, environmentalists, state officials, town officers, and others. Our invited speakers included officials from other states that use little or no salt in the winter (e.g., Colorado) and scientists who have studied the problem in other locales. We also funded stream monitors that reported on the change in water chemistry from one side of a highway to the other. 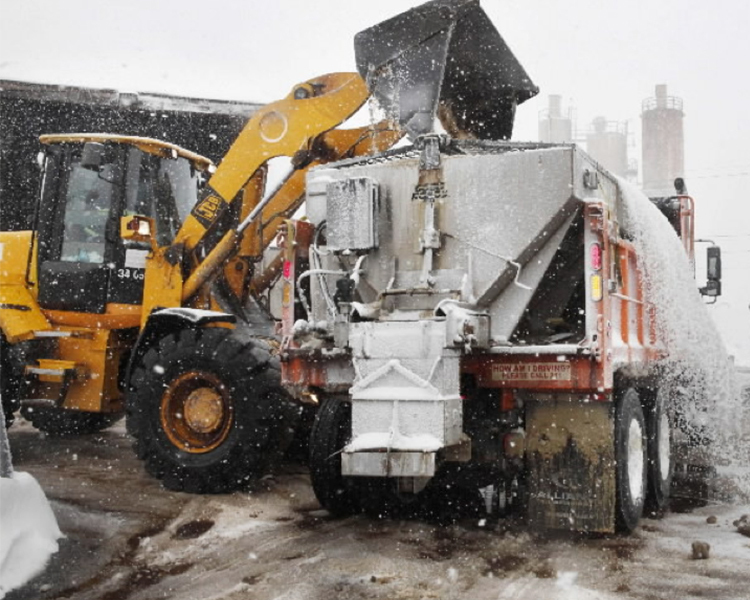 And we partnered with the NYSDOT to try new techniques to reduce salt use: lower speeds to reduce splatter; alternate chemicals for sensitive areas; telemetry to monitor a trucks dispersals; a second blade to reduce passes, etc. All of that effort proved fruitful and salt use per mile has been reduced by 30%. Unfortunately, total salt use in the Adirondacks has gone up due to a series of very cold and wet winters. However, overuse of salt is not just a problem for the environment. 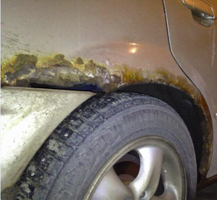 Salt corrosion makes our automobiles rot out prematurely and our bridges, guardrails, culverts and municipal equipment deteriorate well before their useful lives are up. In order to quantify this hidden cost, we are funding a major research project that will attempt to calculate how much value is lost due to vehicle corrosion and how much is added to our tax bills to replace rusted school buses, municipal trucks, and road infrastructure. This study will look at vehicle inspection data, auto blue book values, and the differences between infrastructure costs for towns and counties (who use just a little salt to keep the sand from clumping) and the state which treats its roads with pure salt (225 pounds of it per mile per lane per application). So stay tuned: this is a big step that needs your attention and financial support! Remember: We get things done—things that improve the lives of the residents of the Adirondacks! 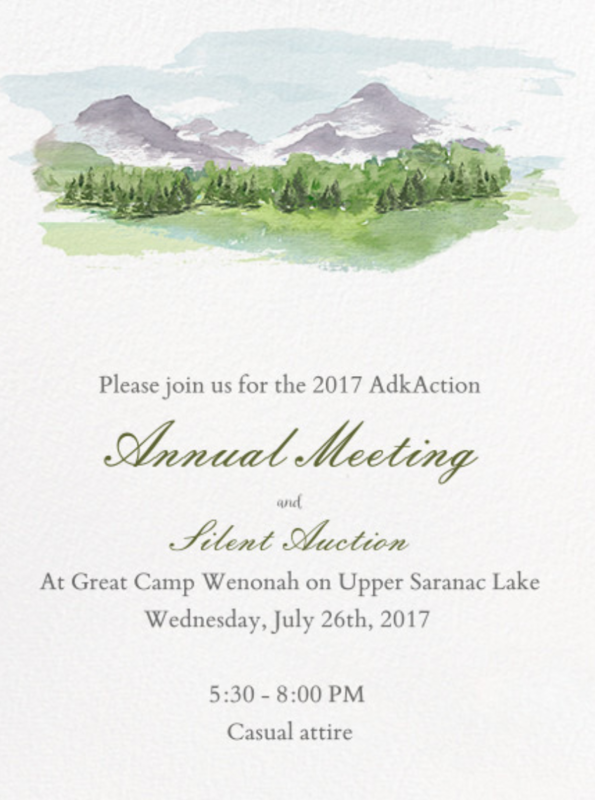 Save the Date for the AdkAction.org Annual Meeting/Party. The Annual Meeting for 2016 will be held on Thursday, July 21, 2016. The venue will be announced in a future newsletter. Please plan on attending this fun annual event. We’ve told you we are the organization that gets things done. Here’s what your dollars are getting done in the Adirondacks! On September 10th AdkAction.org hosted an all-day symposium at the Lake Placid Convention Center that brought together 86 Adirondack cultural organizations to discuss and solve common problems. Speakers included Lisa Robb, Executive Director of NYS Council on the Arts (shown below with board member Lee Keet), Gavin Landry who runs I Love NY, and Rich Newman, EVP of Empire State Development. Despite low population density, the Adirondack region has hundreds of these cultural institutions – performing art centers, theaters, museums, libraries, fine art cooperatives, etc. – that work very little with one another. Yet all face the same challenges: attracting visitors and members, securing grants, promoting programs, and funding operations. Results: One high priority item was a common event calendaring solution. Dave Warner, Publisher of Art in the Adirondacks agreed to take on this task and has now launched such a calendar. Click here for more information about the symposium and its results. 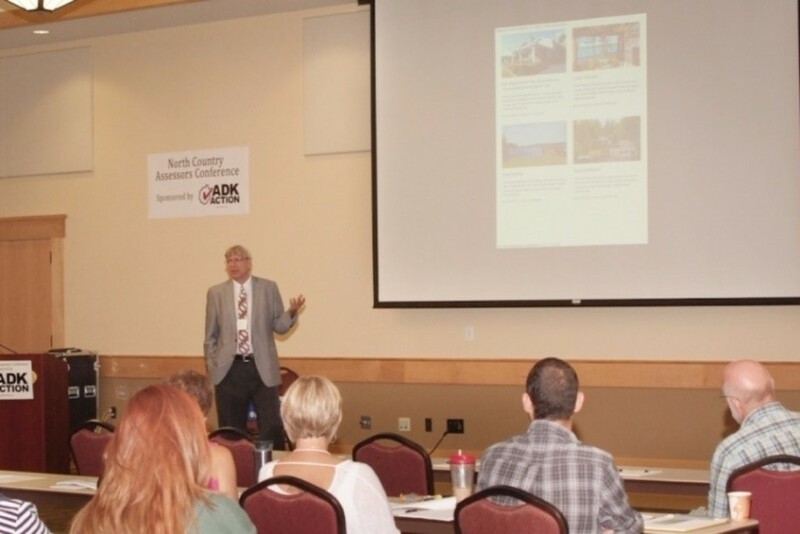 On September 17th, AdkAction.org hosted a one day seminar for 65 North Country assessors on the subject of Lake Front Valuation in the North Country. Following the model of the successful 2010 and 2011 seminars, AdkAction.org again teamed with Dave Briggs, shown below. Dave is the assessor for the Town of Cortlandville and past president of the New York State Assessors Association's Executive Board. By sharing best practices and reviewing proven methodologies to use in assessing the often unique characteristics of lake front properties, the goal of the session was to enable the assessors to approach lake front valuation in a uniform and consistent fashion. Results: The conference reinforced AdkAction.org’s excellent reputation with the assessors’ community in the North Country and helped broaden its visibility across the Park. The positive feedback suggests progress toward our goal going forward. Click here for more information, including copies of the presentations. This summer, AdkAction.org sponsored Linda Brousseau, an Earth Science teacher from Saranac Lake High School, to attend the Building Learning Communities education conference in Boston, run by Alan November. You may remember Alan was the keynote speaker sponsored by AdkAction.org at the Wired for Learning Conference held at the Wild Center in 2013. Educators from around the world come to Alan’s education conferences to learn about the best innovative and practical learning resources available for use in the classroom. Results: Linda came away from the conference with plans to overhaul her lessons and has been sharing her work with her colleagues. We are working with the school administration to build on Linda’s experience to provide professional training for the teachers with a goal of more meaningful teaching and learning enhanced by technology. Click here for more information about the 2013 Wired for Learning Conference. The annual membership meeting and party took place on July 23rd, 2015 at Camp Wenonah on Upper Saranac Lake. 100 members thoroughly enjoyed the evening at this splendid camp and were most appreciative of our hosts Anne and Jim Schoff, Kathy and David Welch, and Shelley and Kelly Maggs. Your support of the silent auction is helping us accomplish your priorities in the Adirondacks. If you have meant to join us and keep forgetting, or if you forgot to pay your annual dues this year, go online and pay simply and easily by credit card or PayPal. This link makes it quick and simple online. Please help us recruit new members by forwarding this newsletter, with your personal message, to urge your friends and neighbors to join us too.